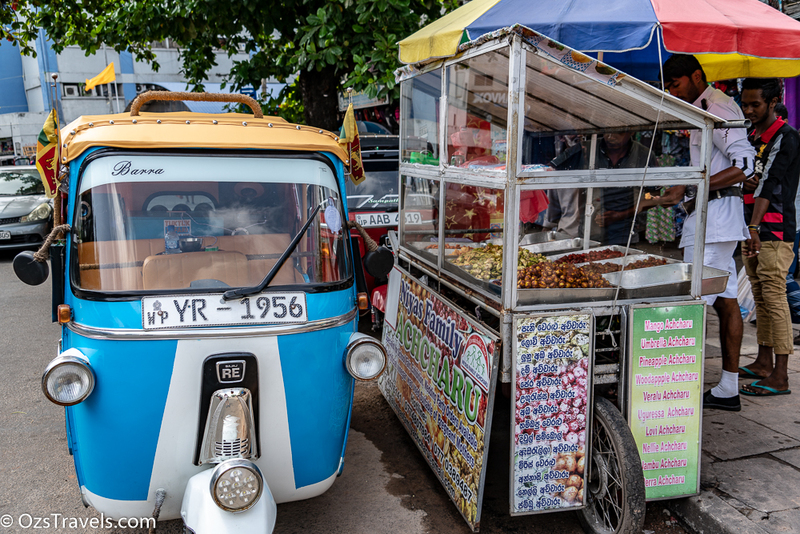 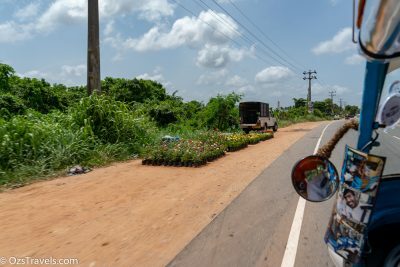 As my Tuk Tuk Safari was so much fun it made sense to book another one, this one tailored for me by Duckman. My own Colombo Tuk Tuk Adventure courtesy of Tuk Tuk Safari. 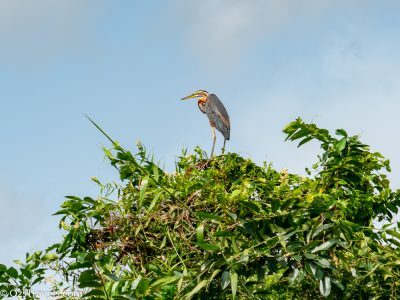 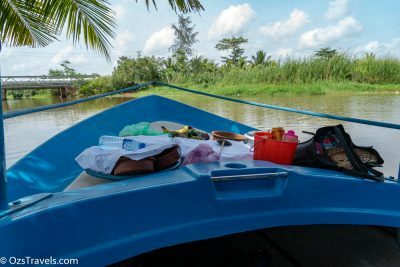 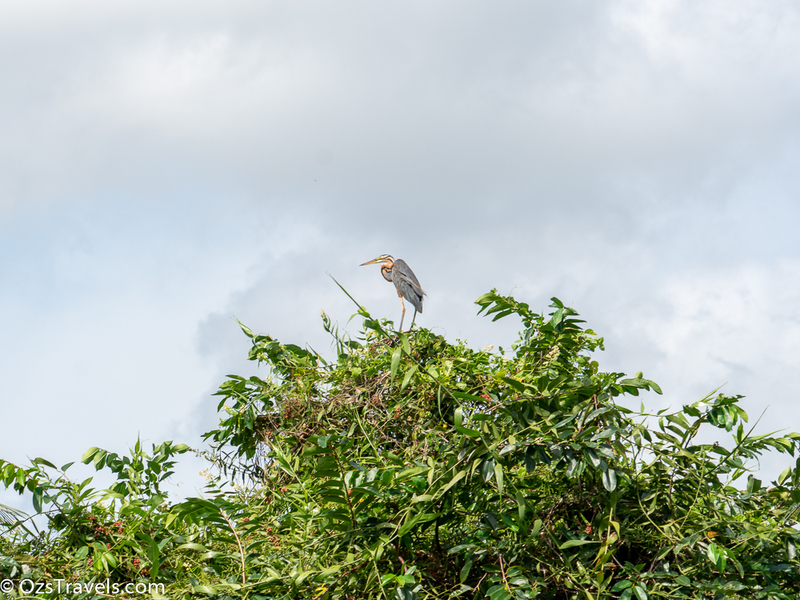 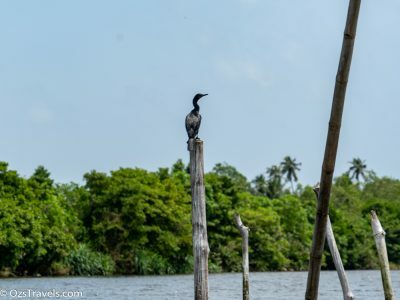 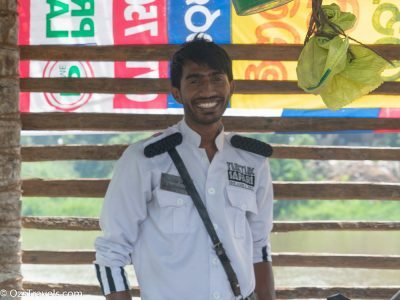 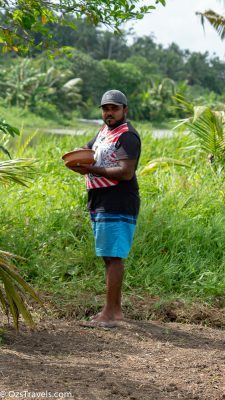 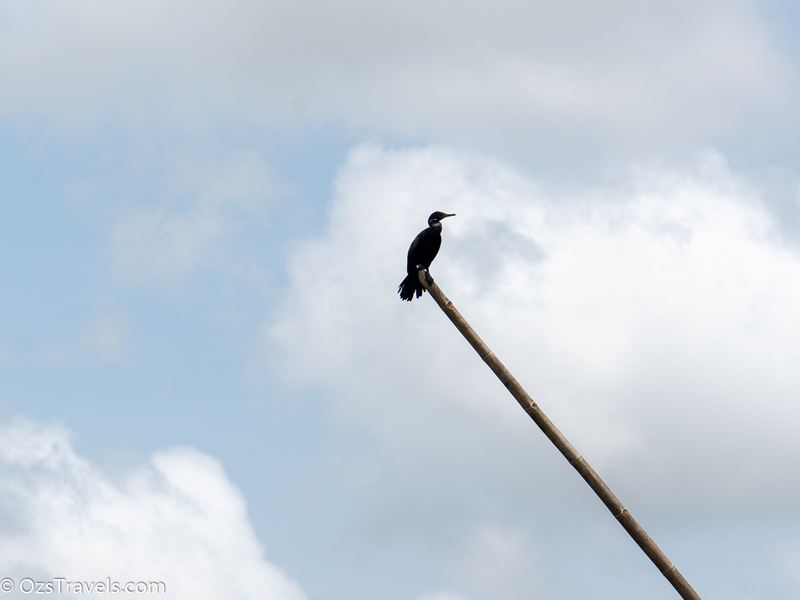 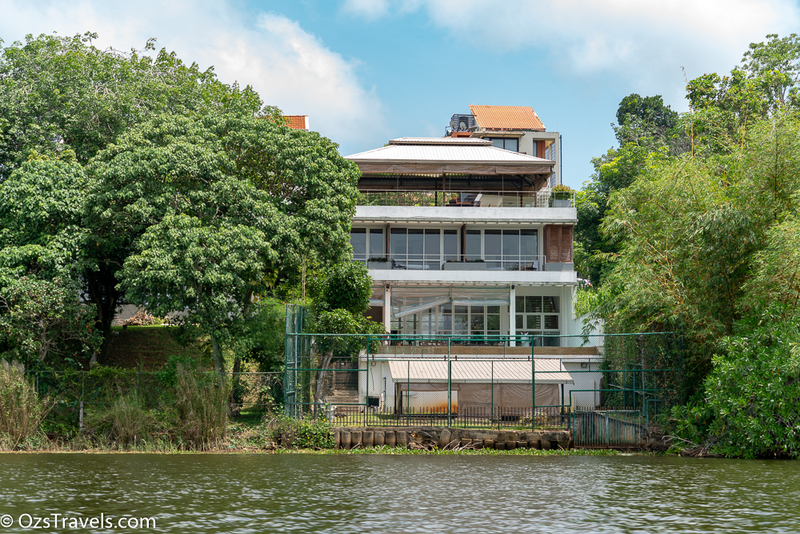 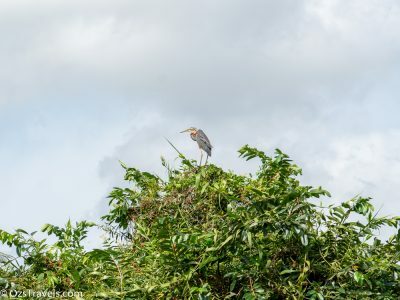 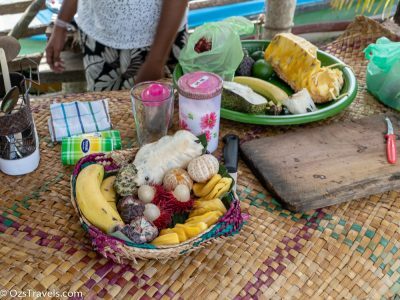 I hope you enjoy this as much as I did, Duckman did a great job with picking out places I would like to visit and even arranged for one of his neighbours to take us out on a boat trip and for his wife to cook lunch. 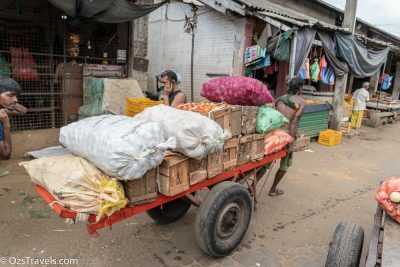 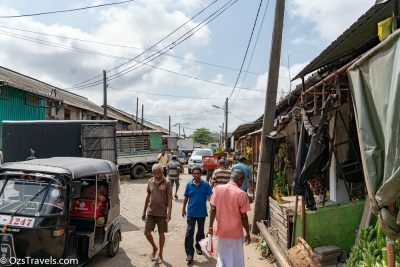 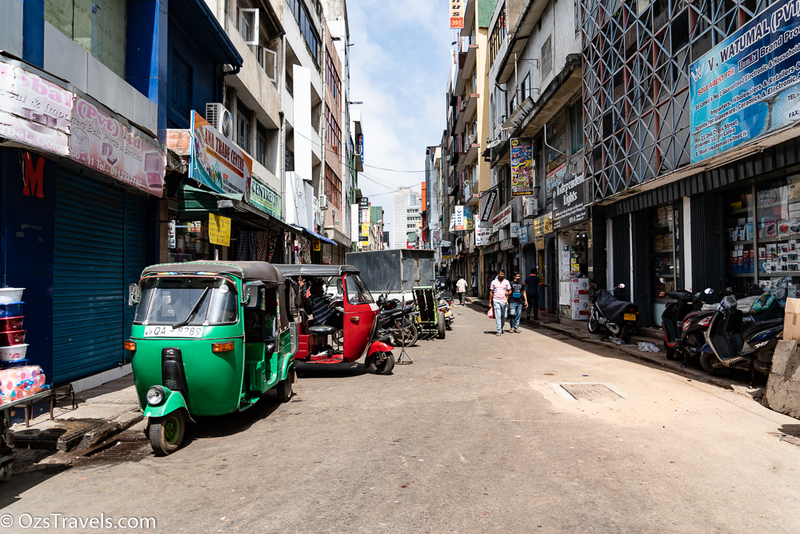 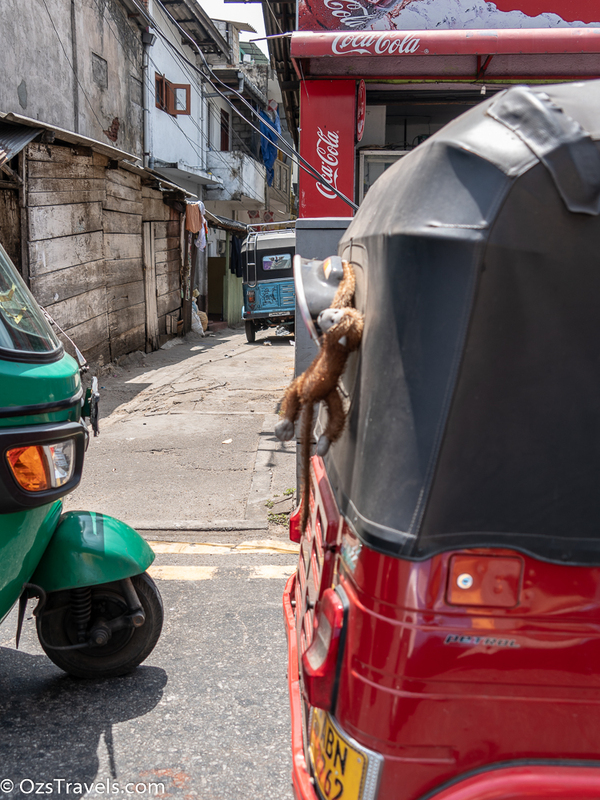 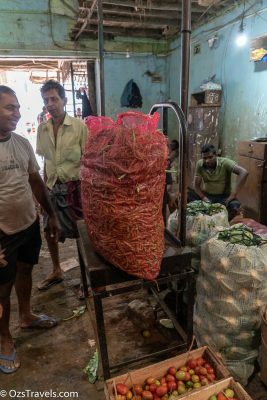 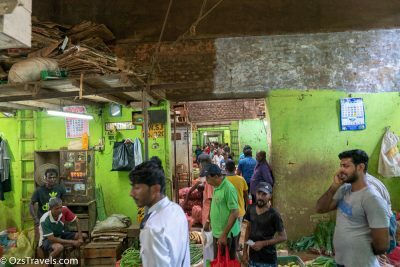 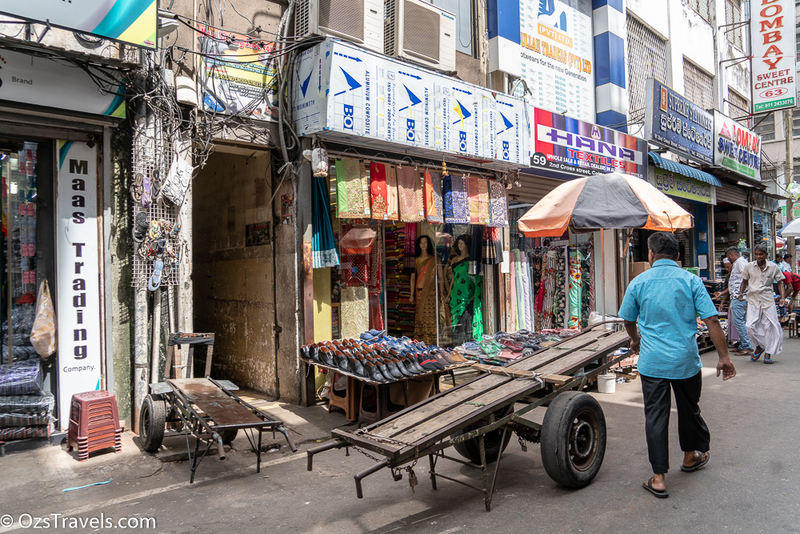 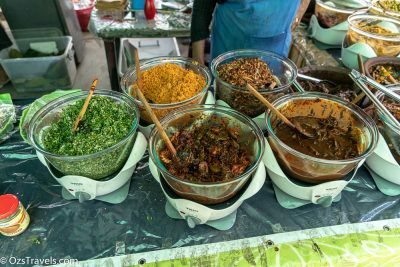 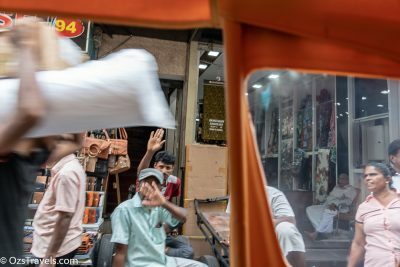 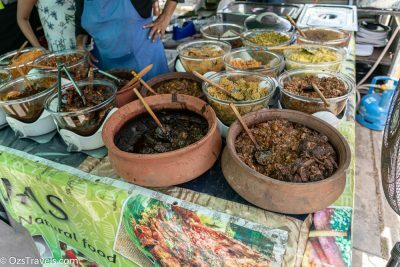 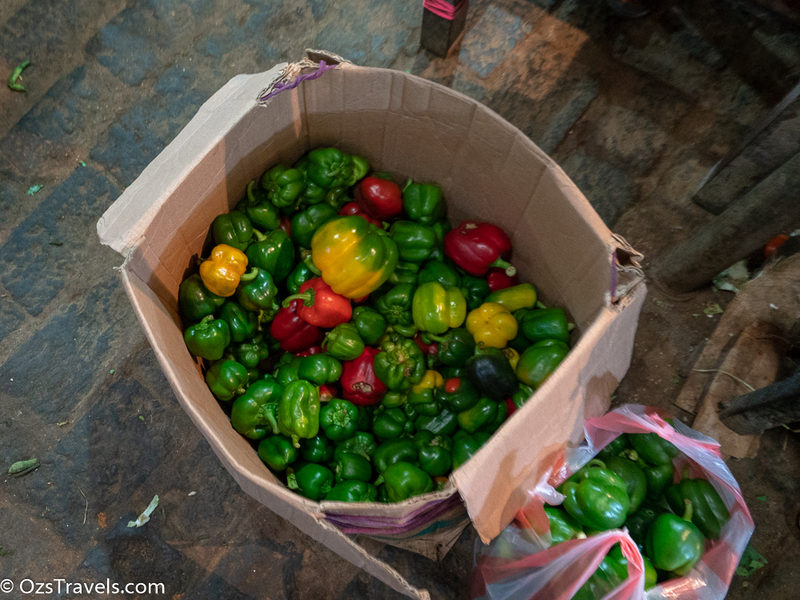 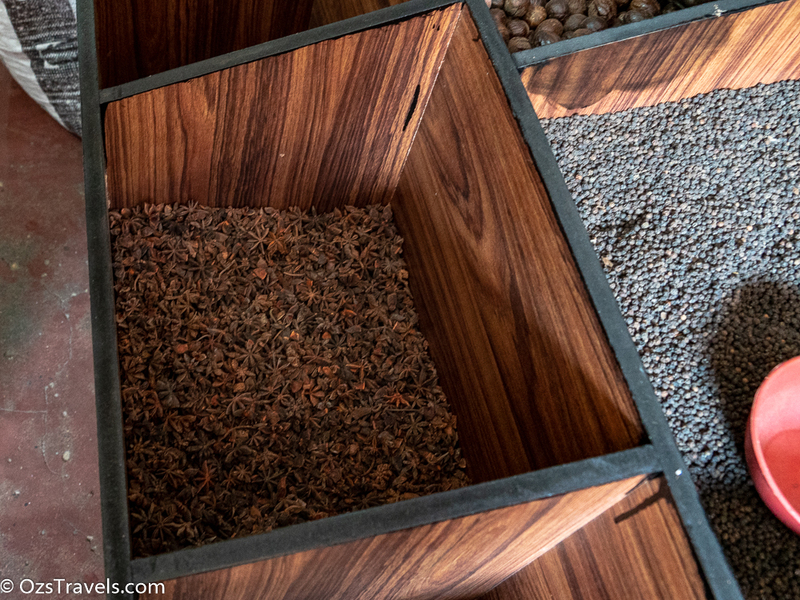 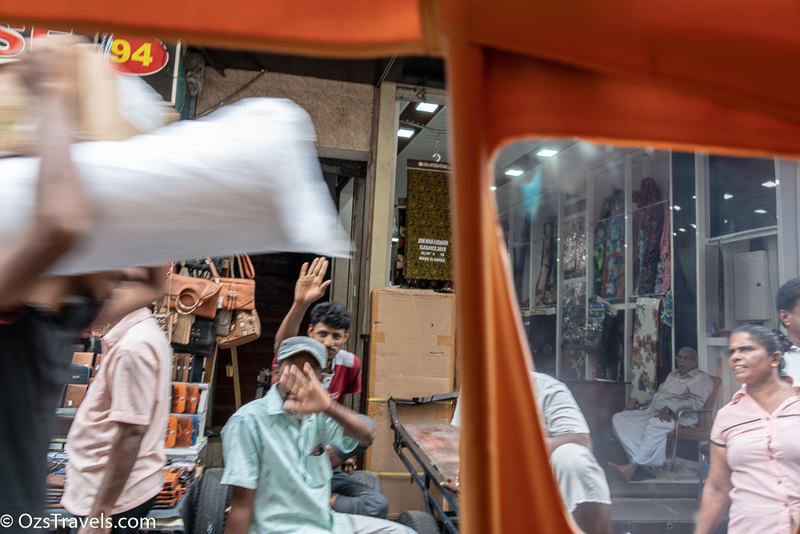 The first stop on my Colombo Tuk Tuk Adventure was a Spice Market. 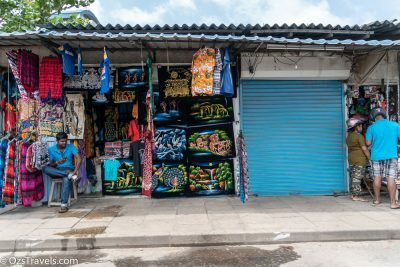 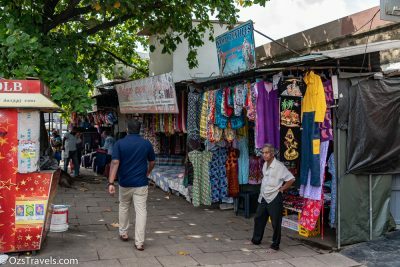 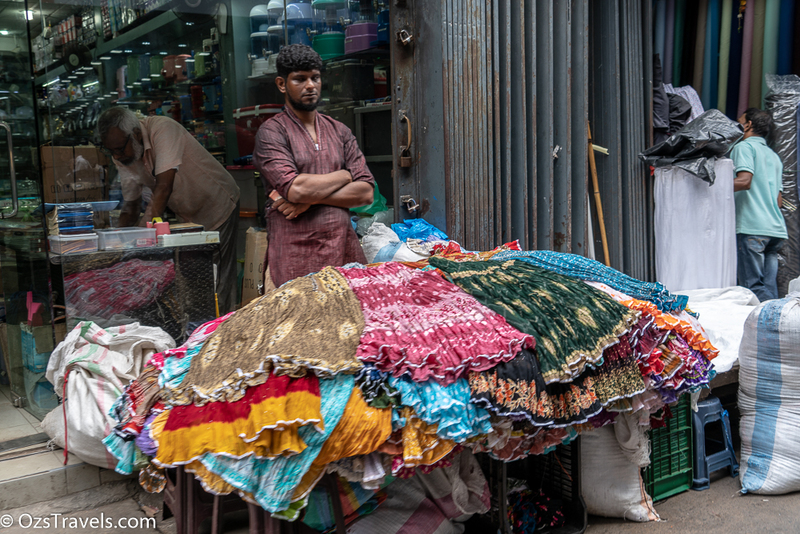 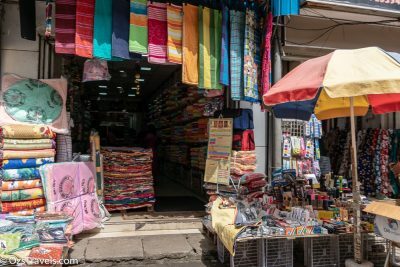 I was expecting to visit a market with a number of stalls in a hall, not how it is setup in Colombo. 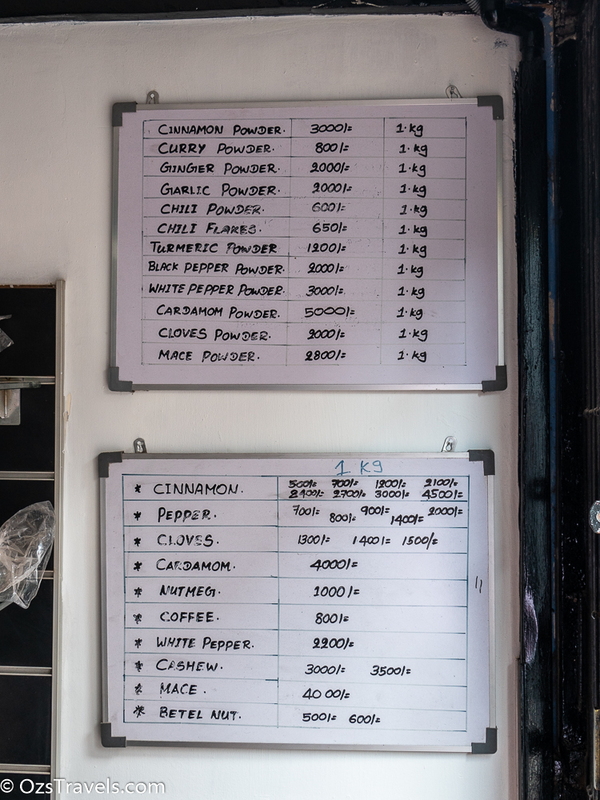 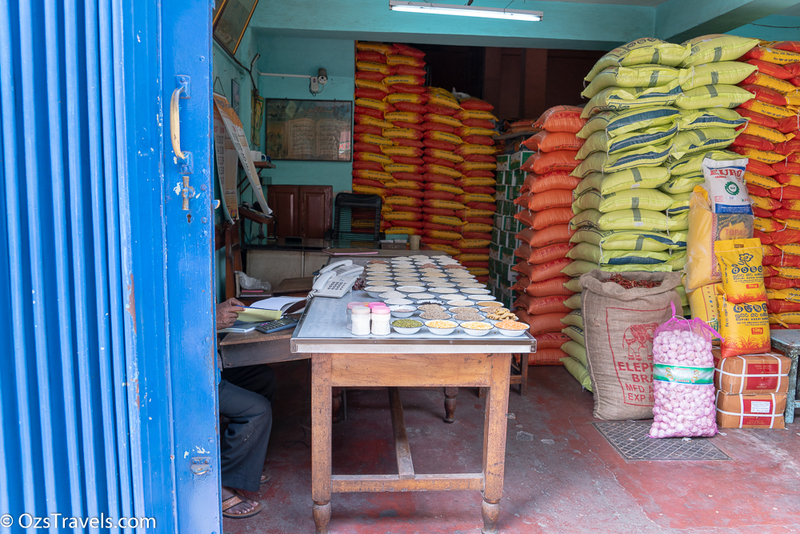 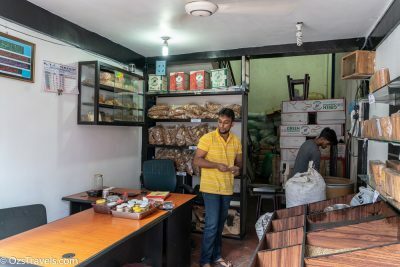 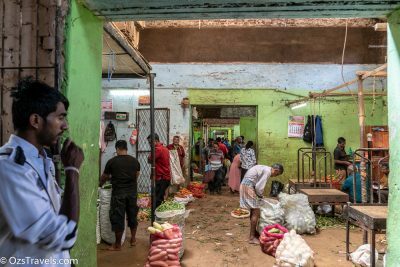 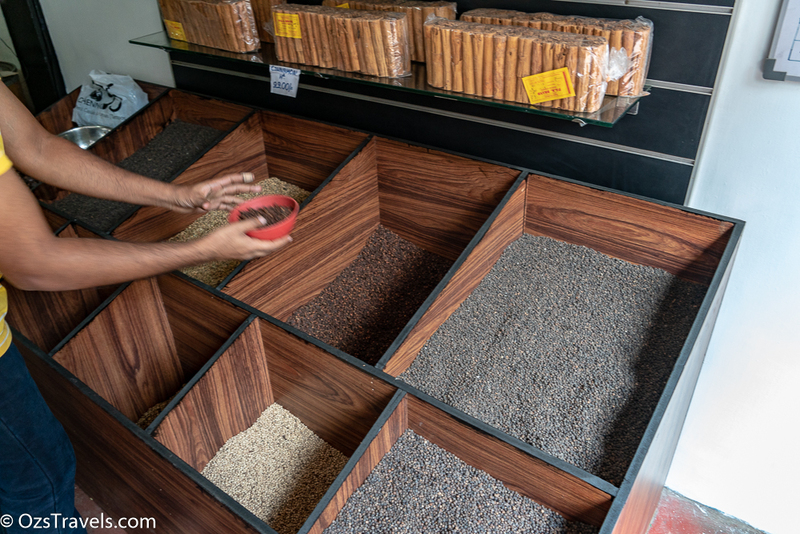 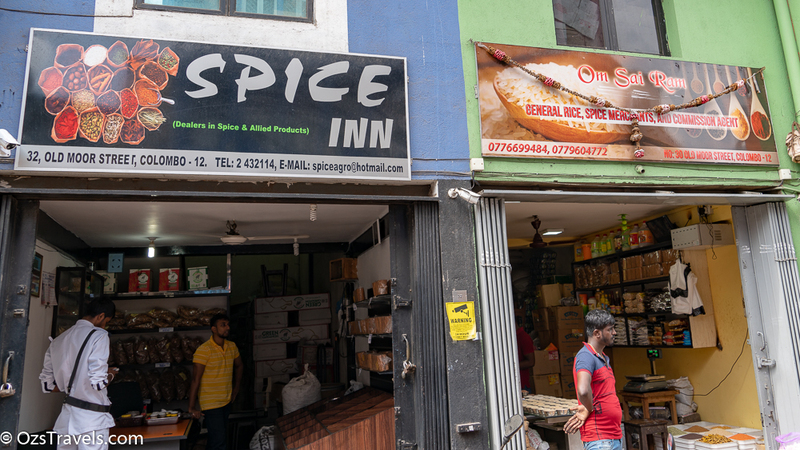 We visited the Spice Inn which is a more of a spice wholesaler who does a bit of retail on the side. 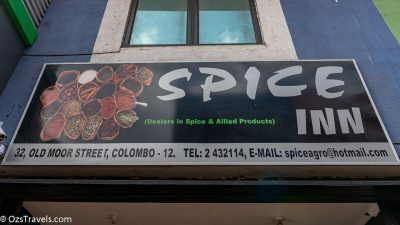 The guys who ran the place were more than happy to help me find what I would like. 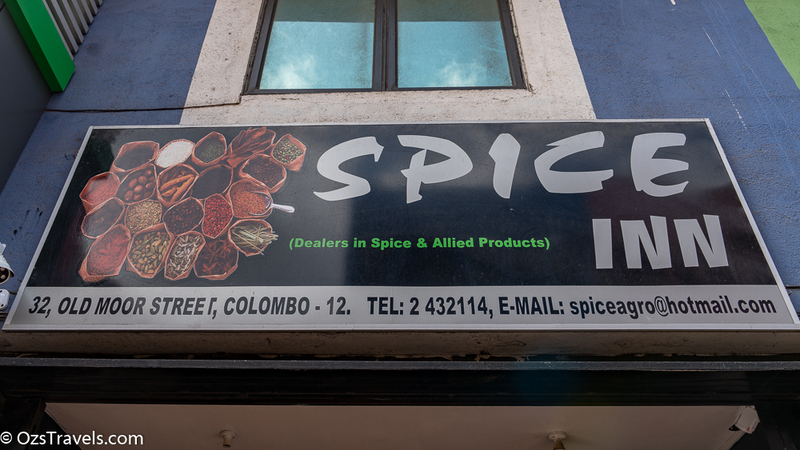 Ended up buying some Black Pepper, Star Anise, Cloves and Curry Powder. 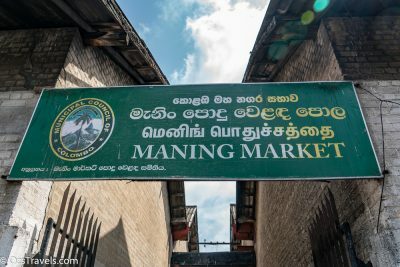 Next up was a visit to the Maning Market which supplies fresh fruit and vegetables. 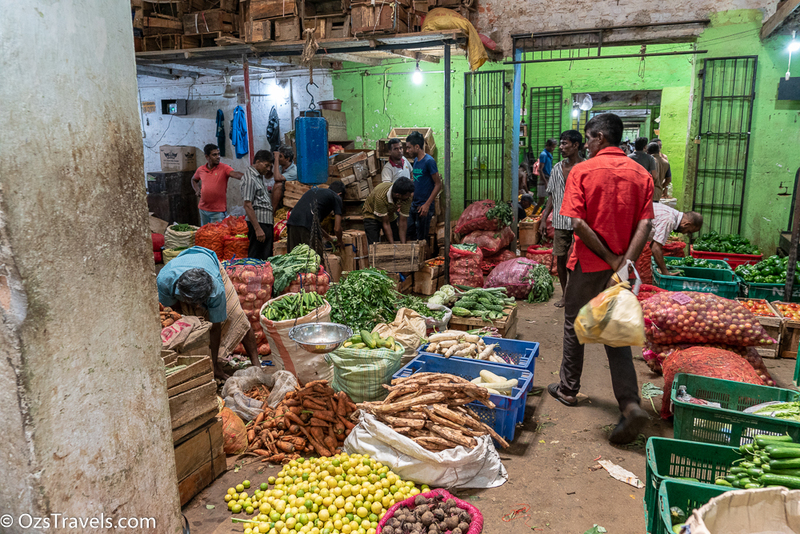 Even though I was not going to be a customer everyone in the market was more than happy to let us wander through taking photos. 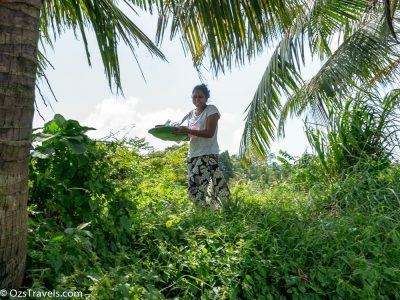 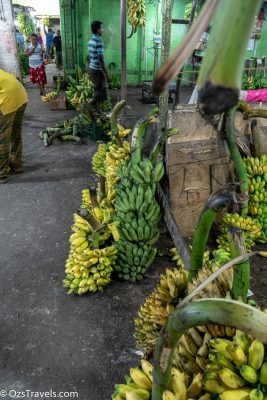 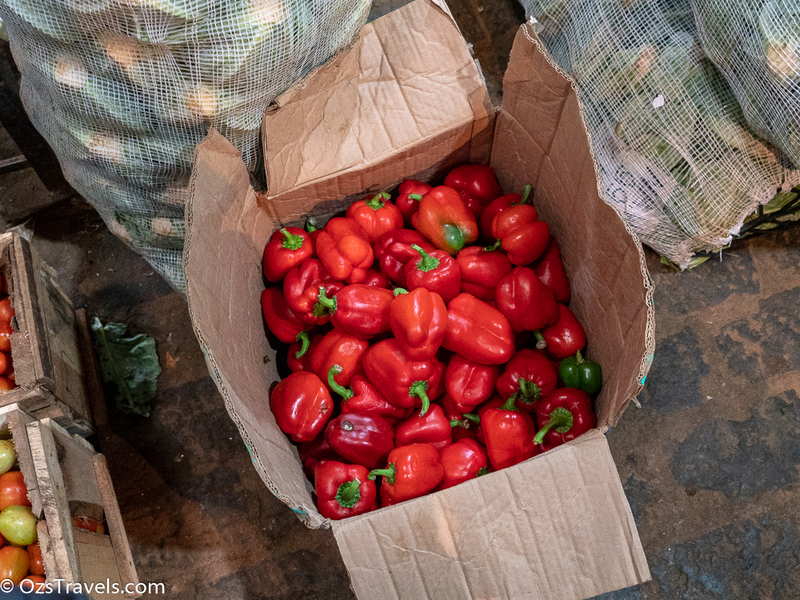 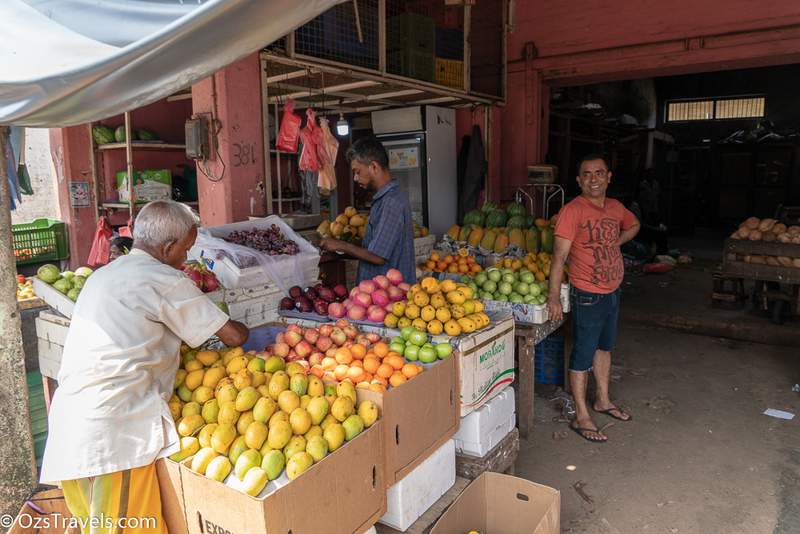 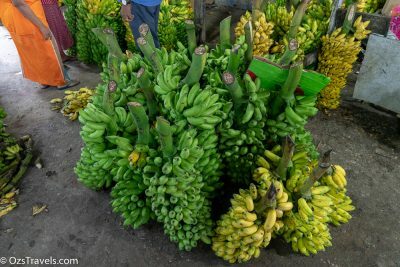 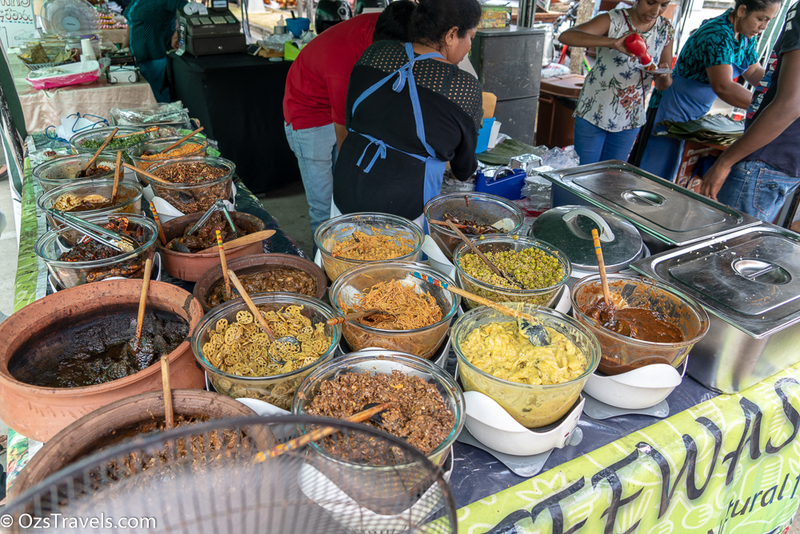 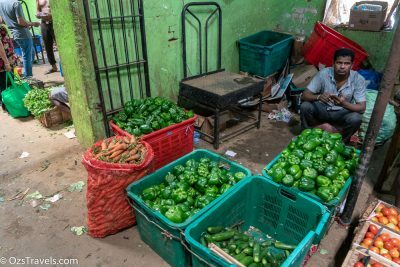 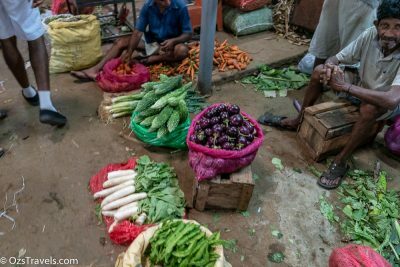 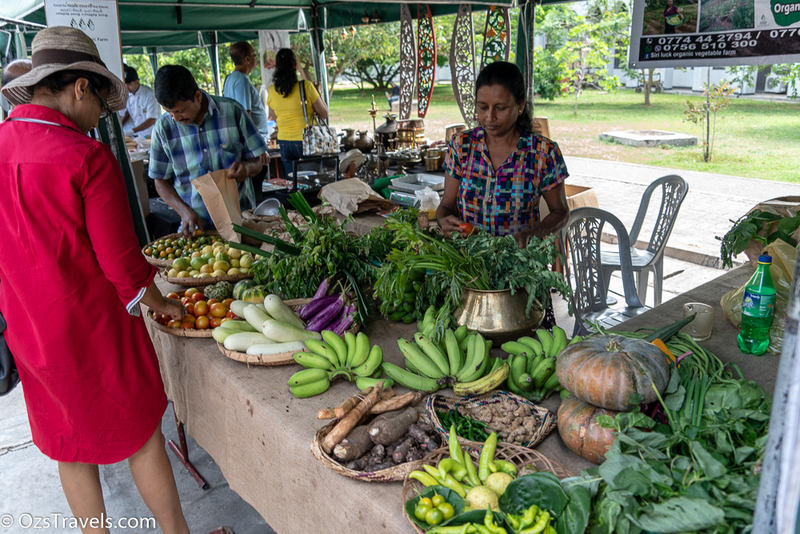 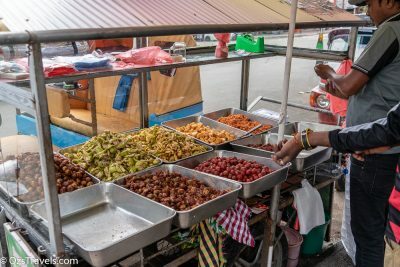 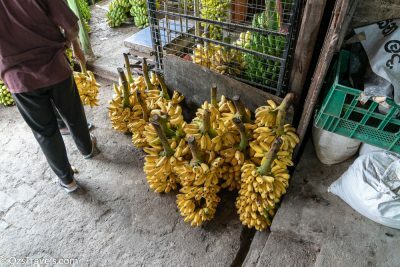 I am always attracted to the colour of farm fresh fruit and vegetables, they look and taste so much better than what we get from a supermarket or even the fresh produce stalls in Singapore. 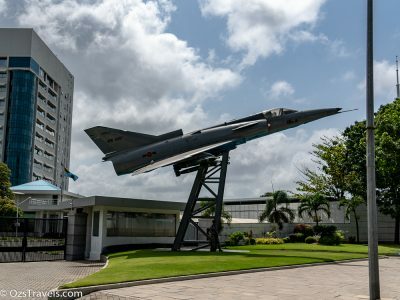 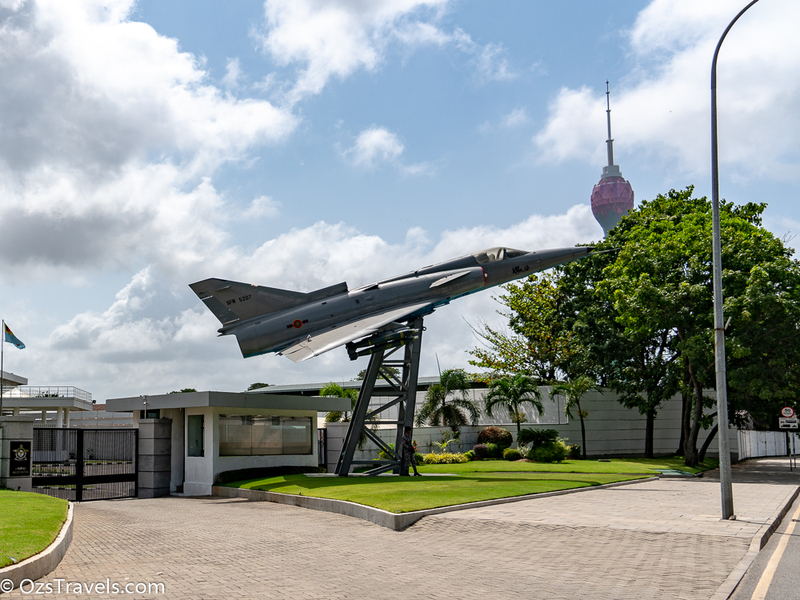 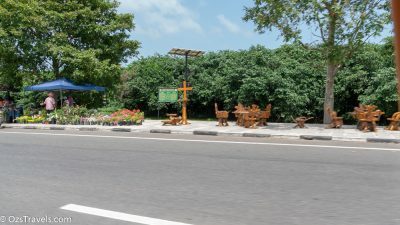 Really liked the place, will have to arrange another visit, but earlier in the day when it is not so hot. 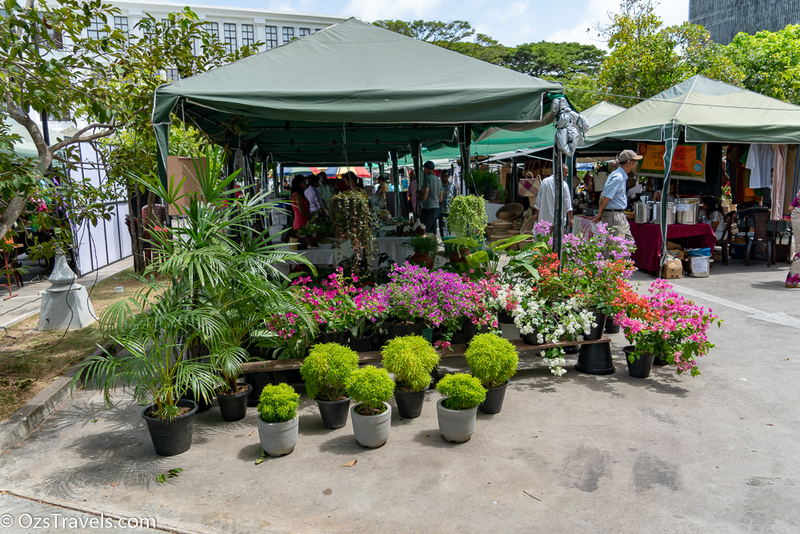 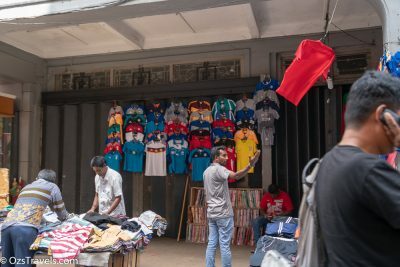 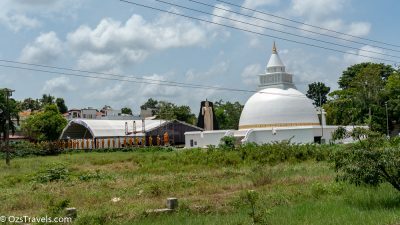 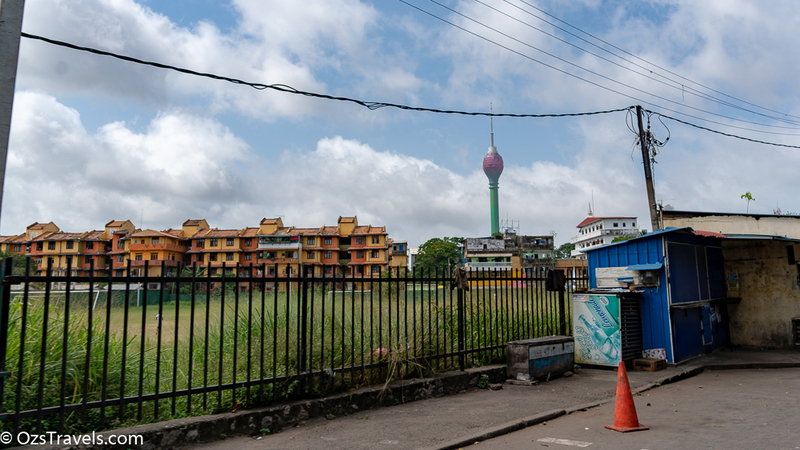 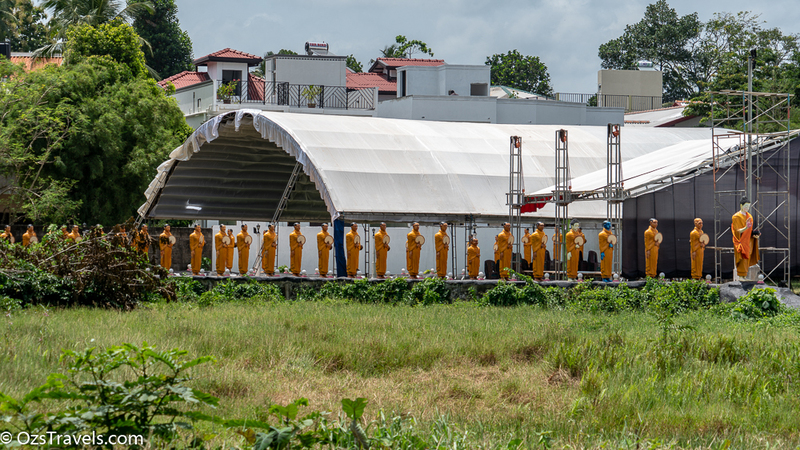 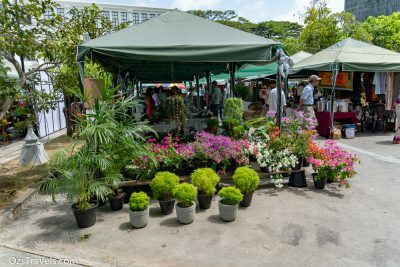 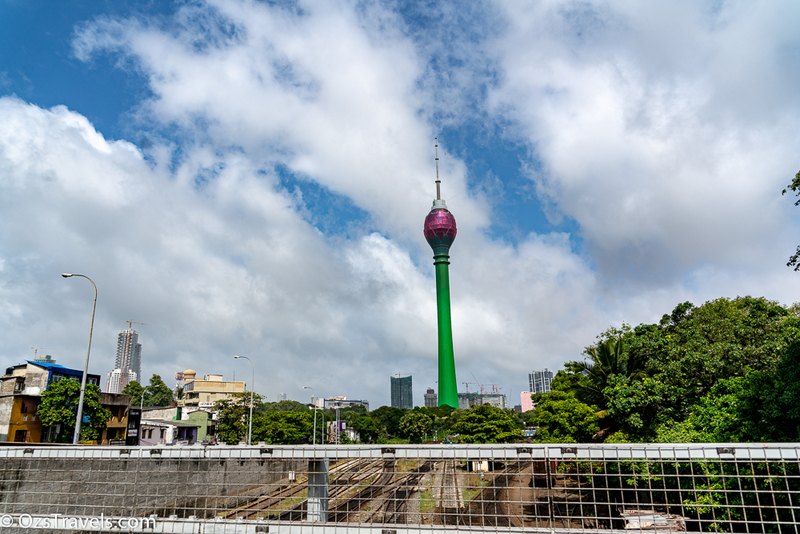 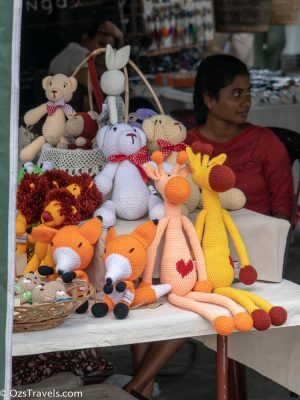 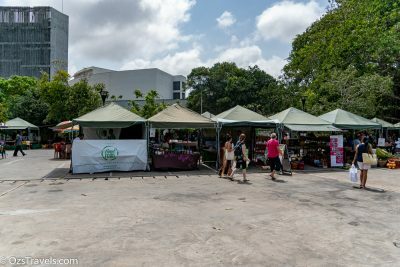 The Colombo Saturday Good Market is held next to the Colombo Racecourse and in the middle of the sporting precinct. 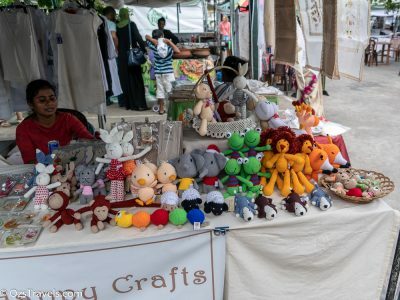 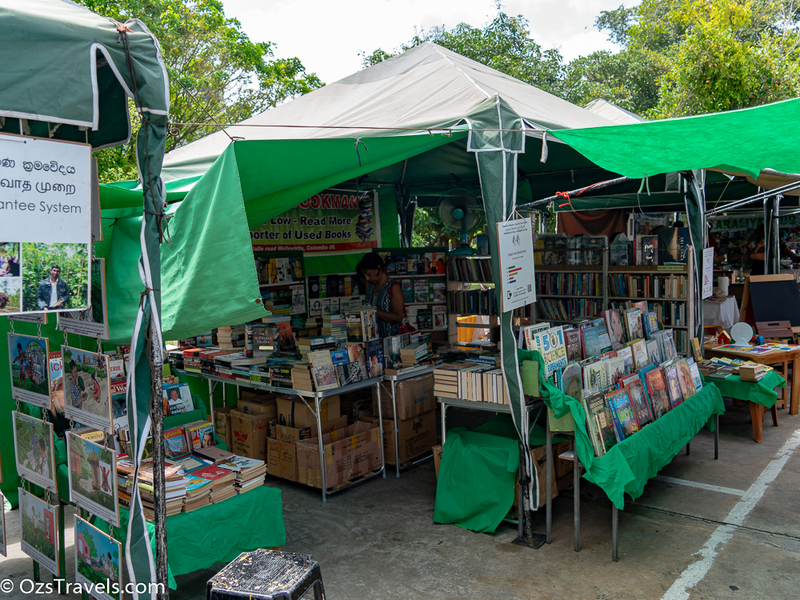 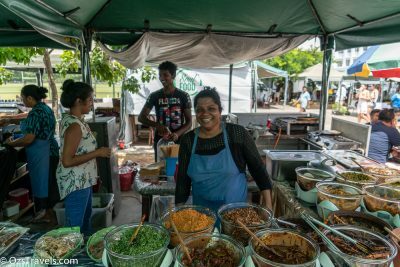 There are usually 65 to 85 stalls open including local food, arts and crafts, coffee and even a second hand book shop. A nice mix. 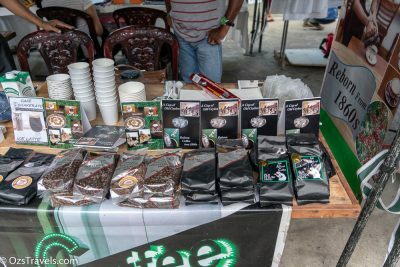 One of the things I wanted to do as a part of my Colombo Tuk Tuk Adventure was to try Sri Lankan Coffee. 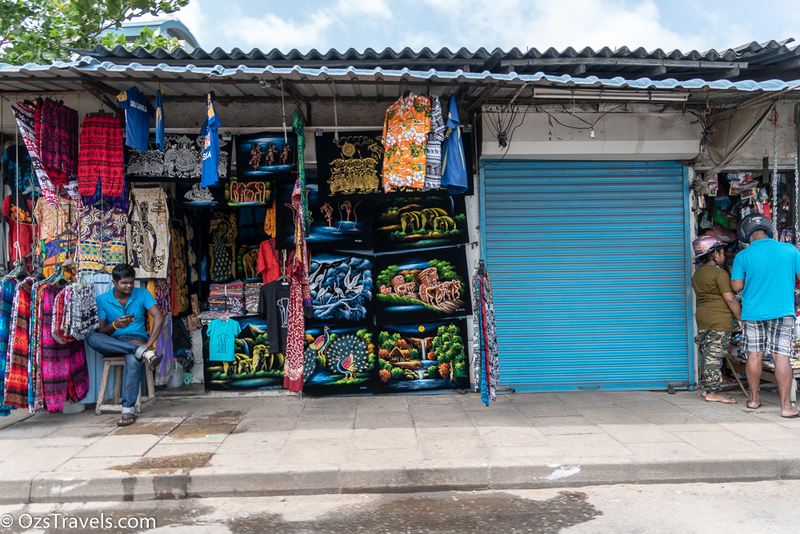 Unfortunately the spot that Duckman had chosen for us to visit was closed. Luckily for me we found a coffee stall in the Good Market, so I got to try the coffee, which was not bad. 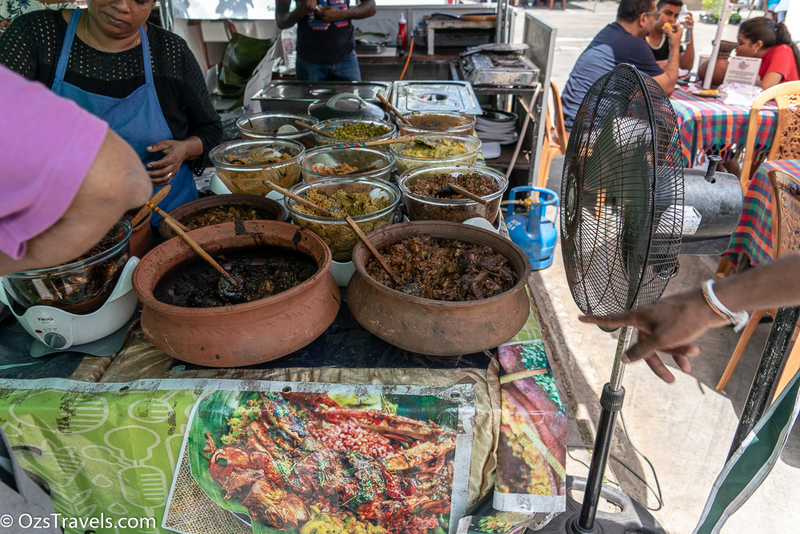 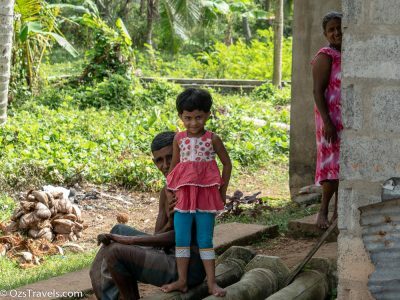 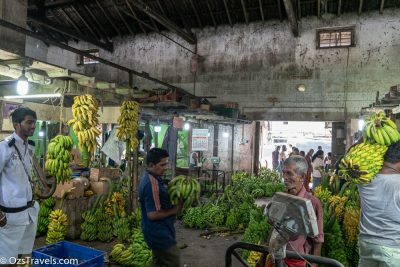 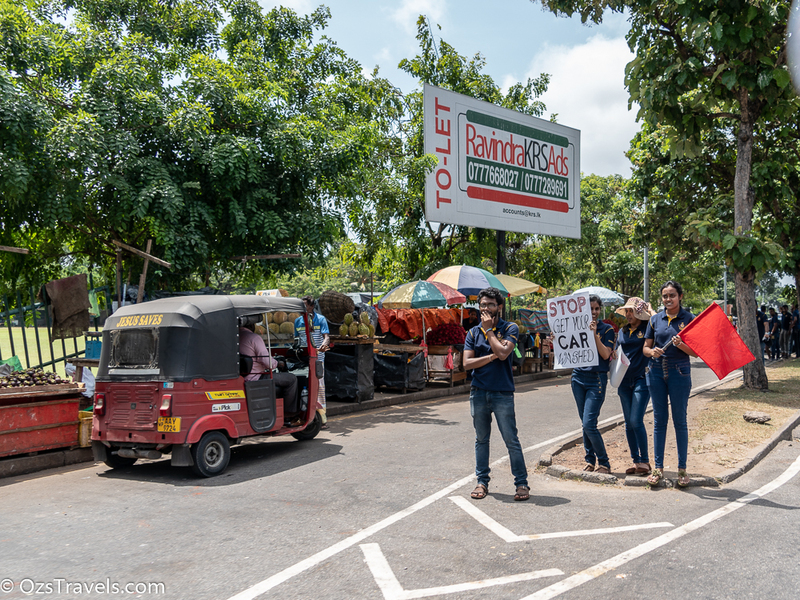 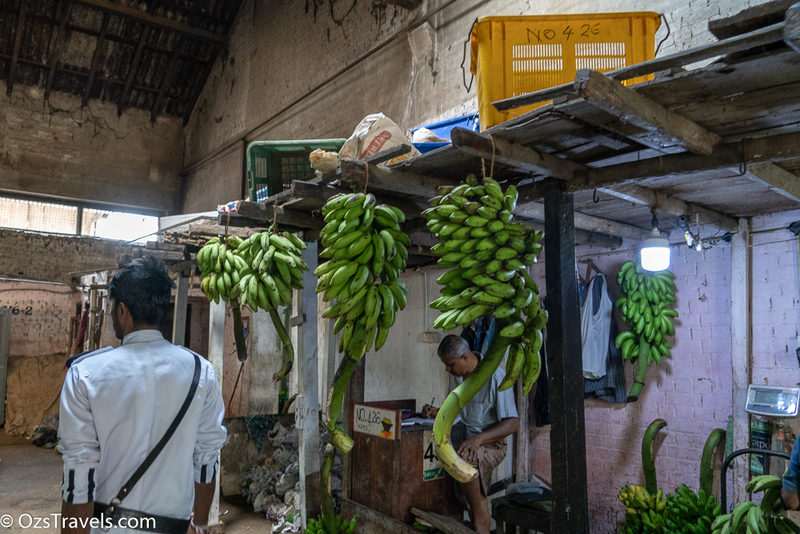 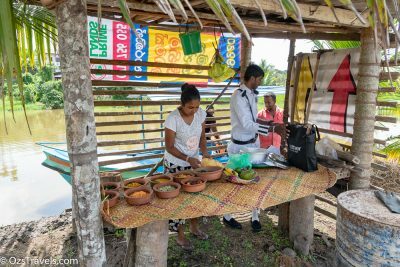 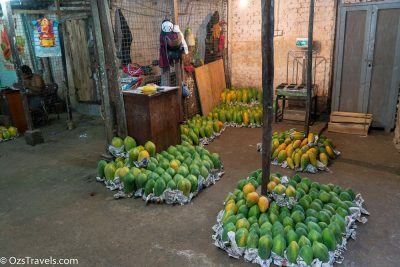 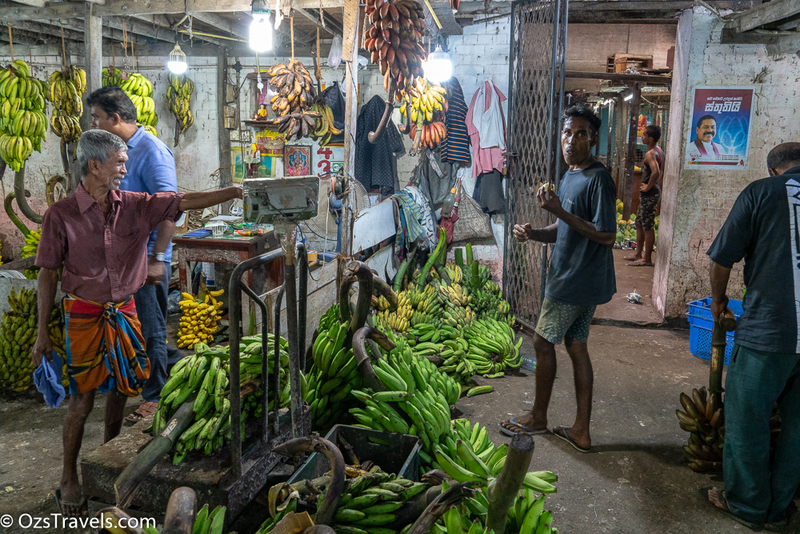 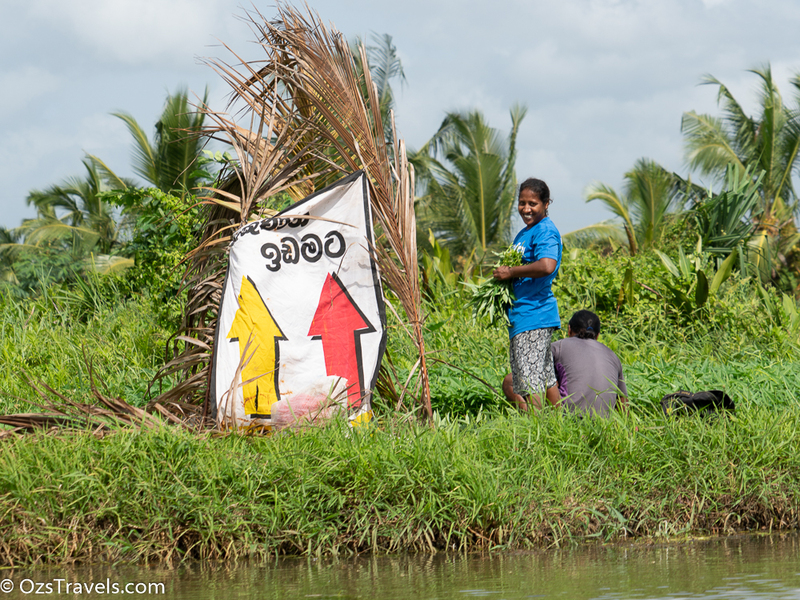 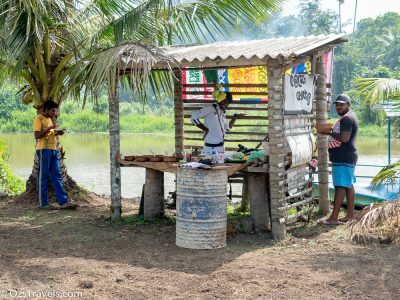 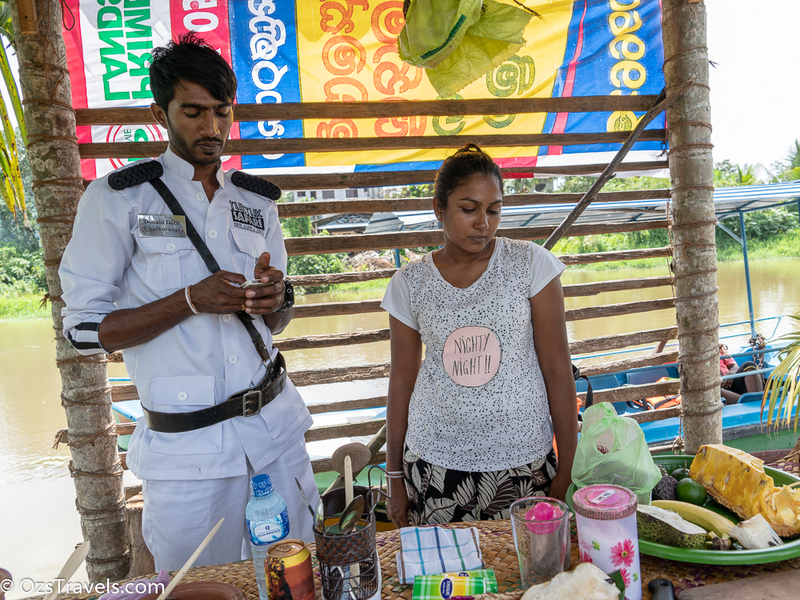 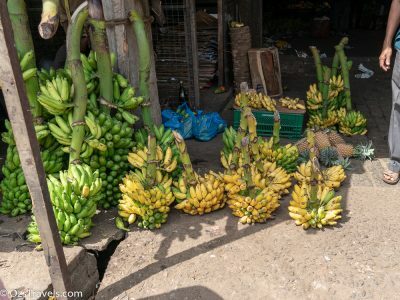 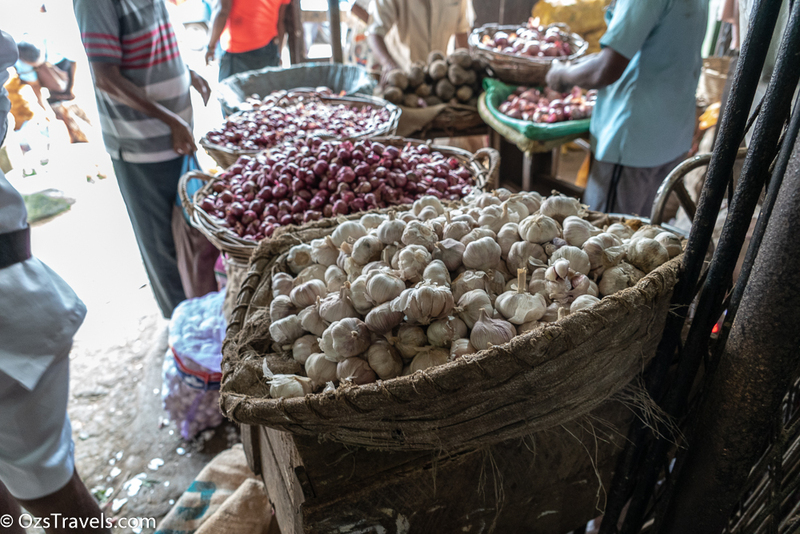 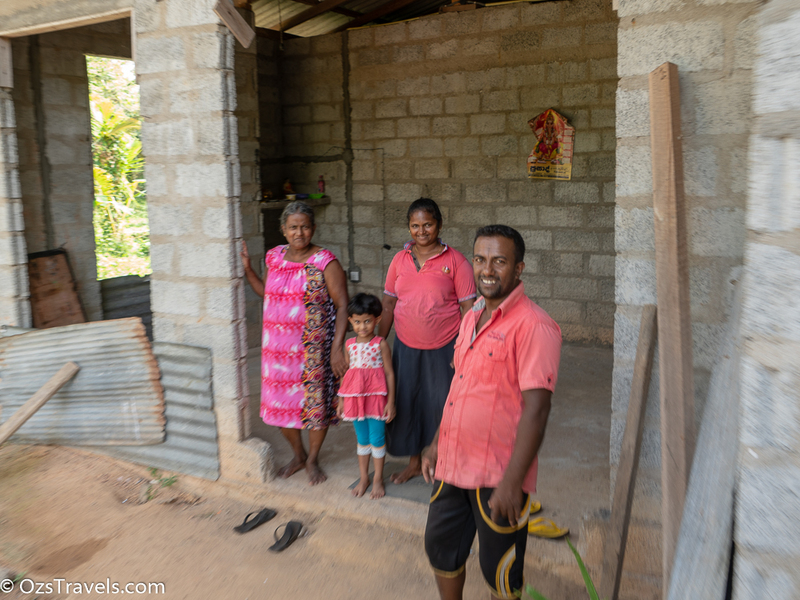 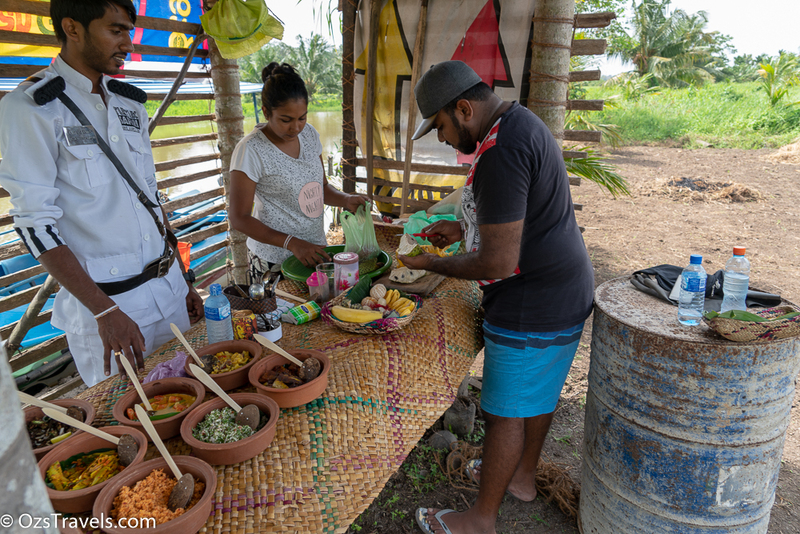 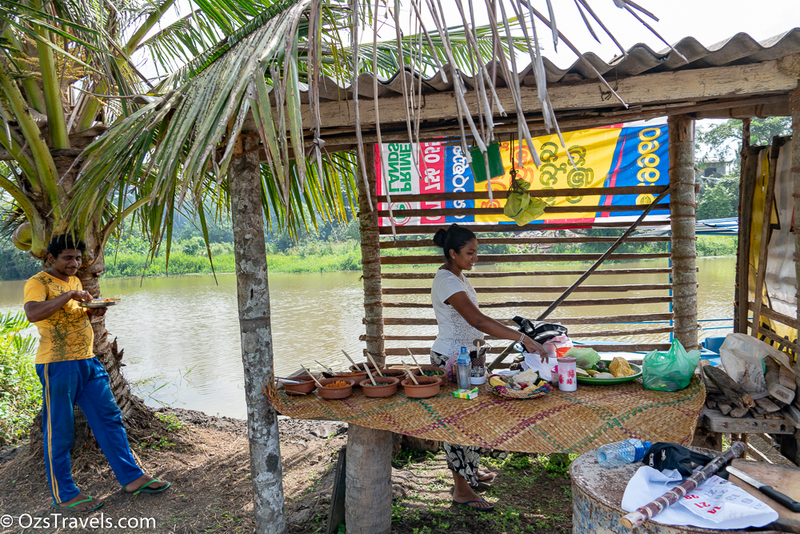 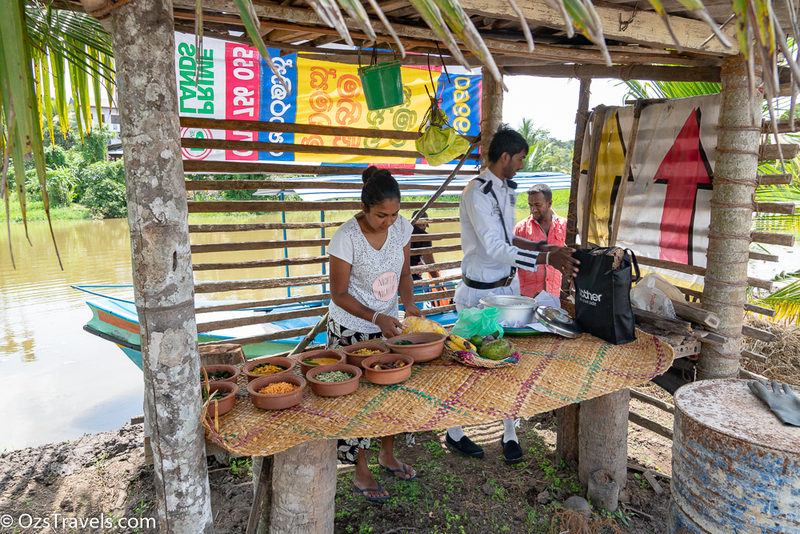 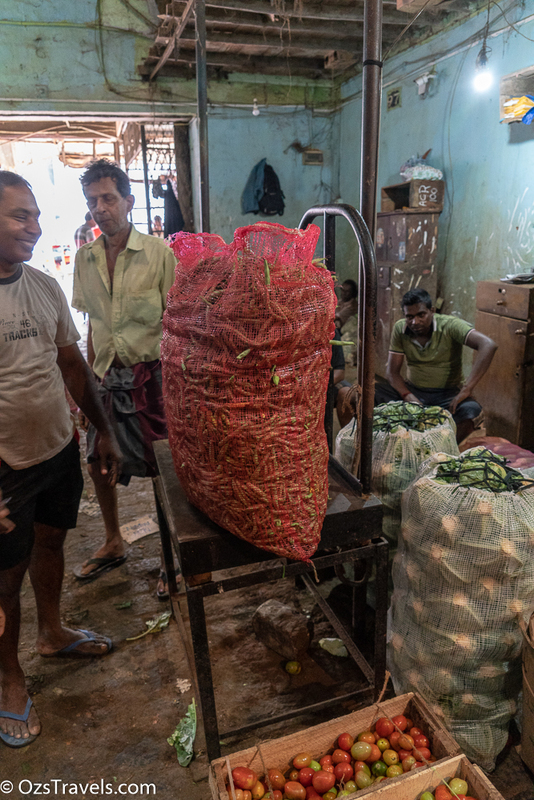 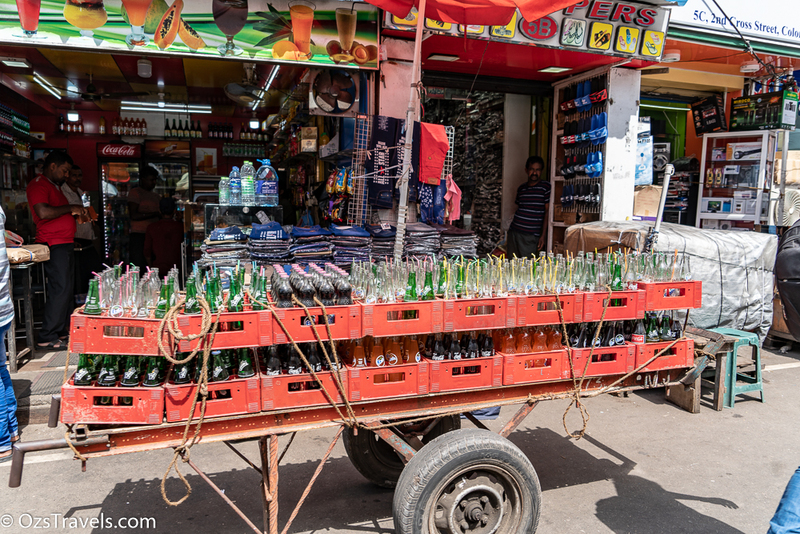 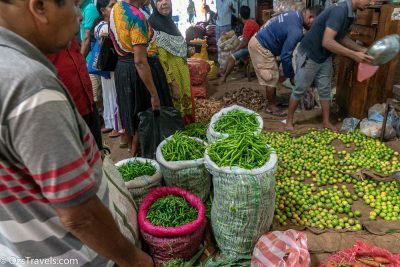 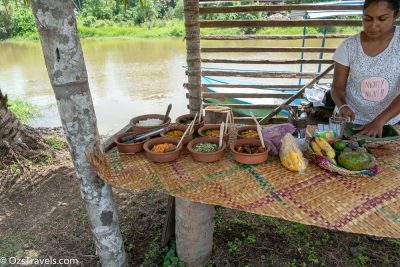 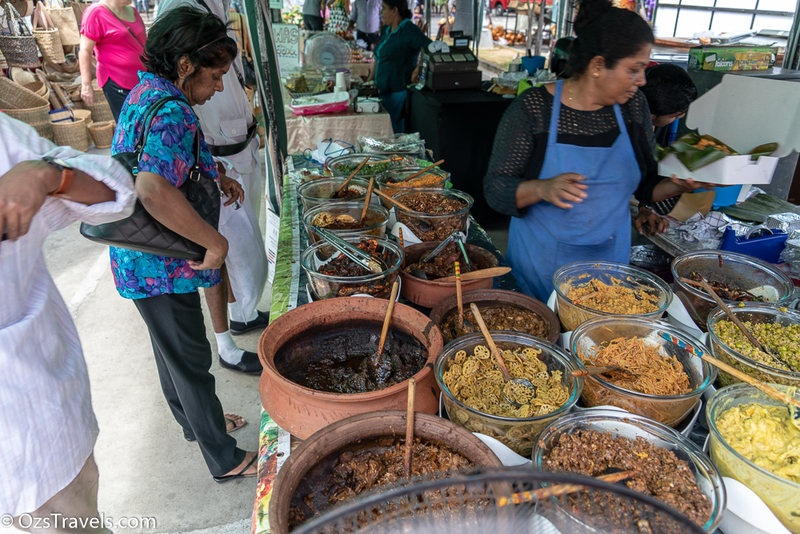 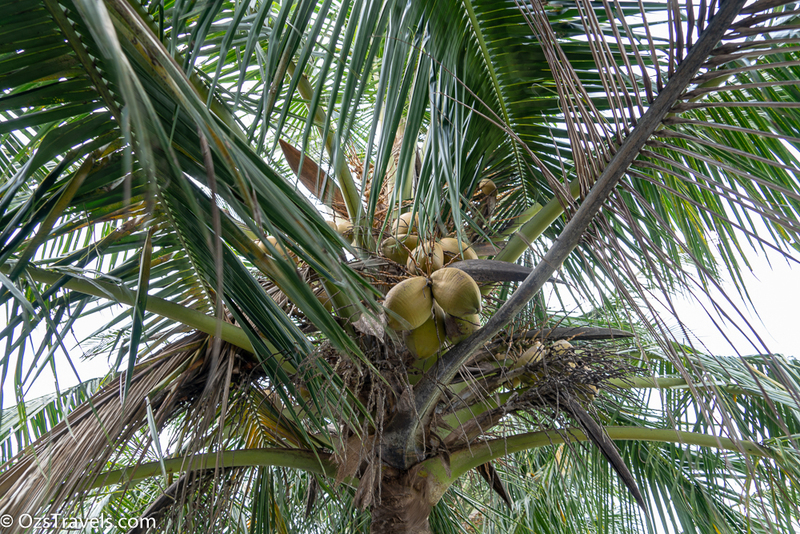 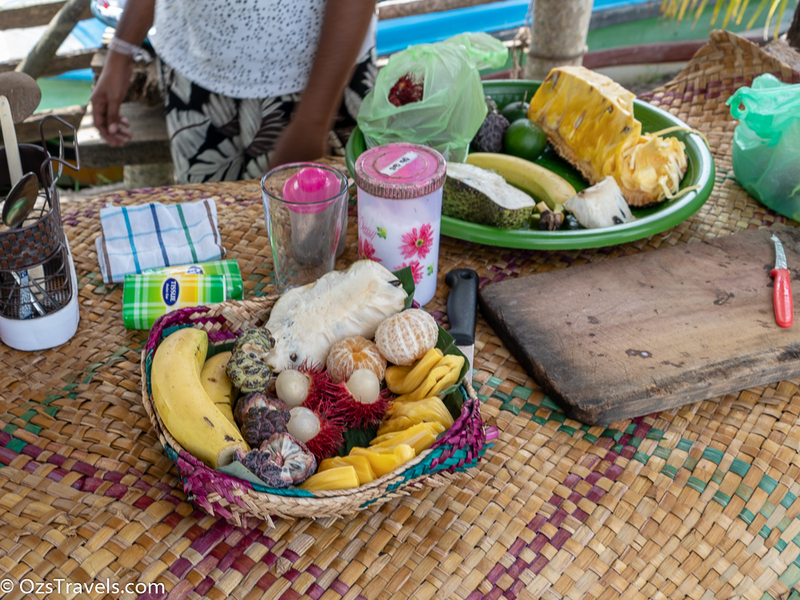 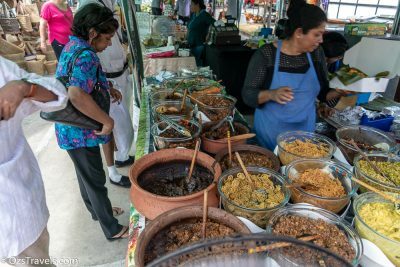 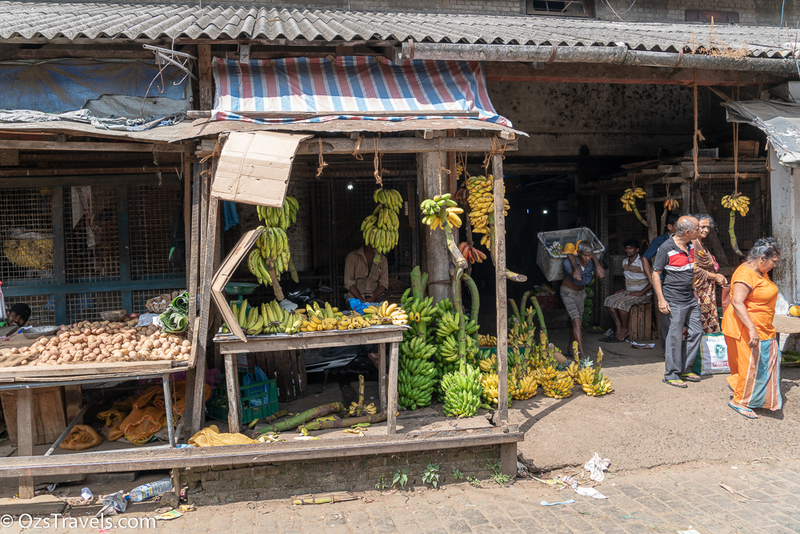 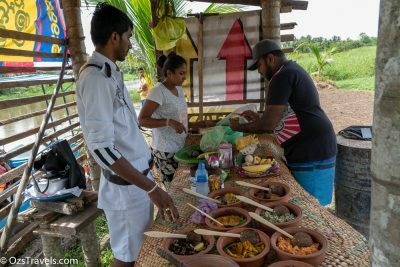 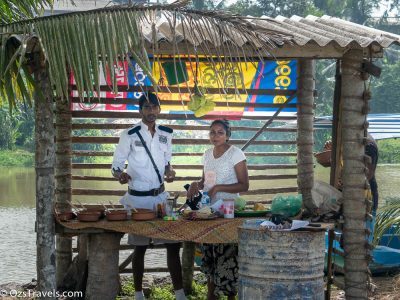 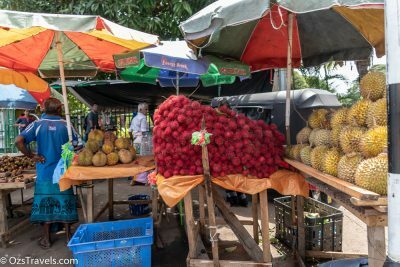 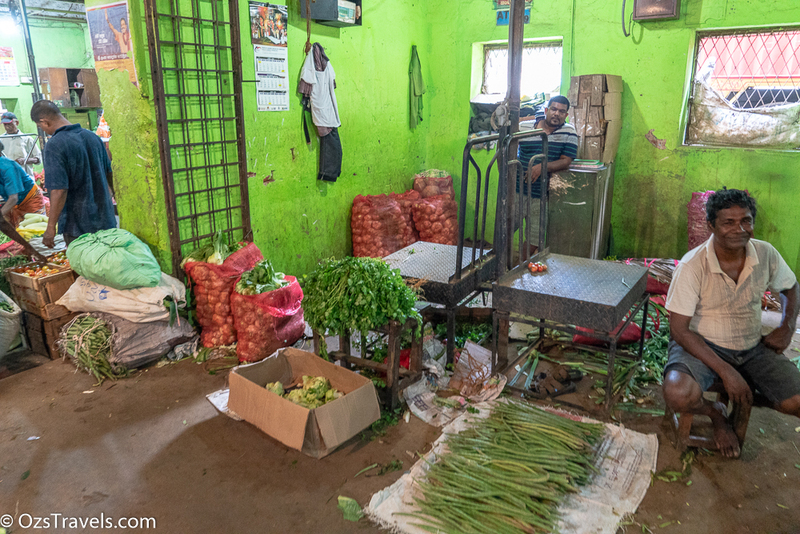 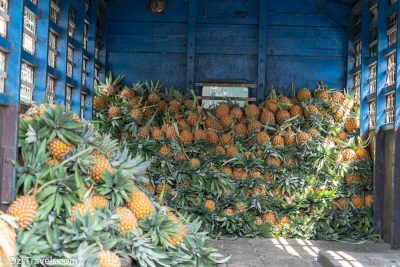 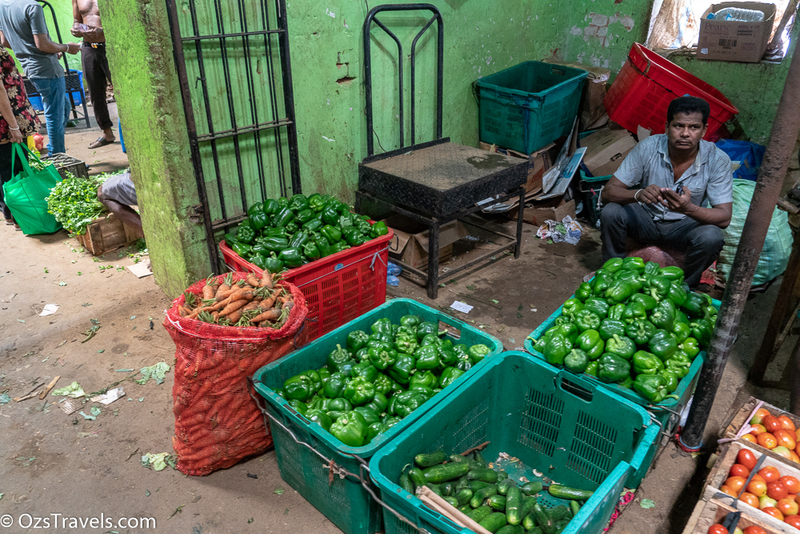 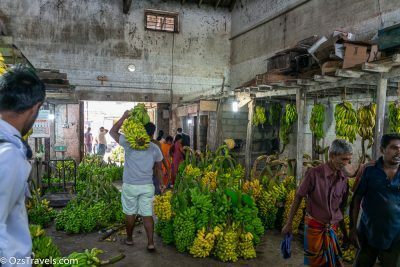 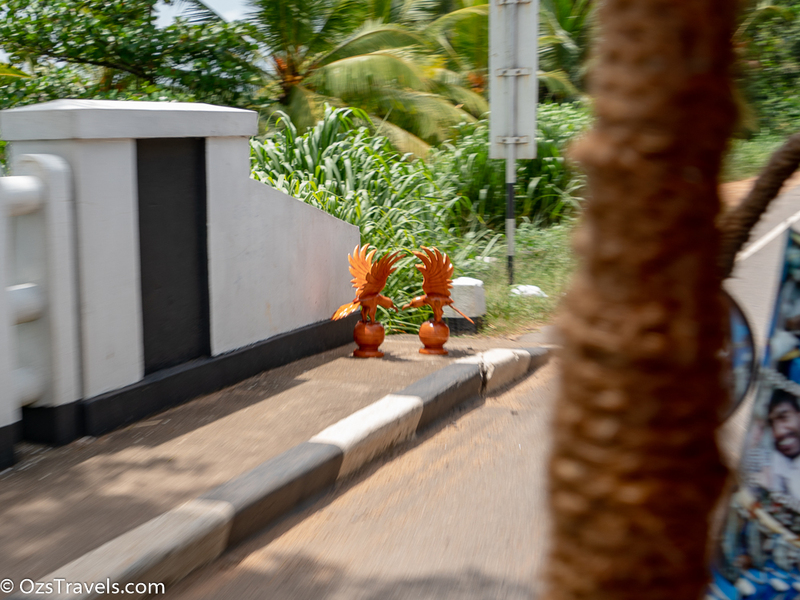 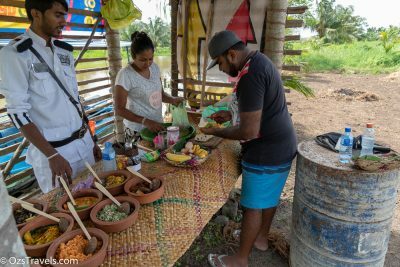 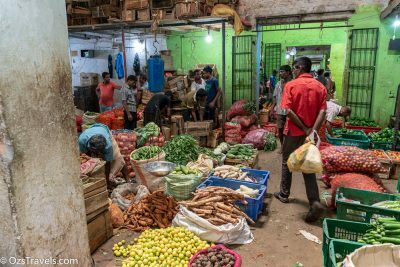 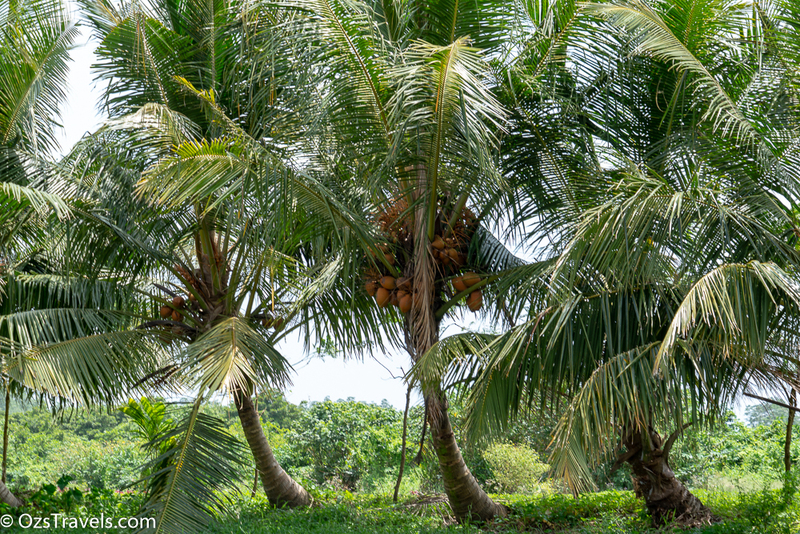 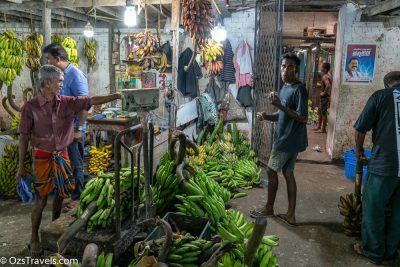 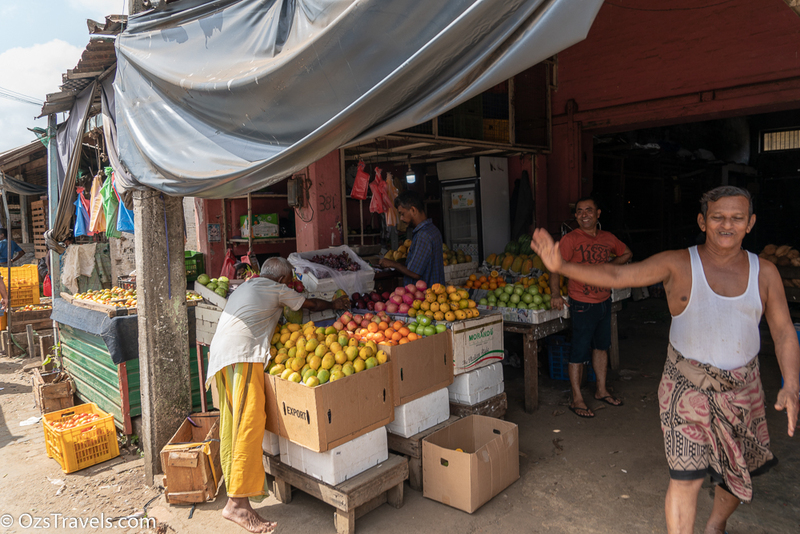 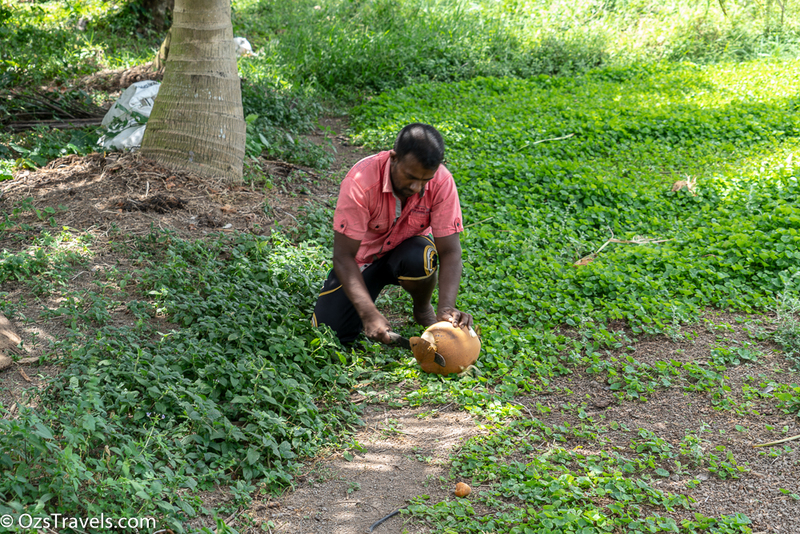 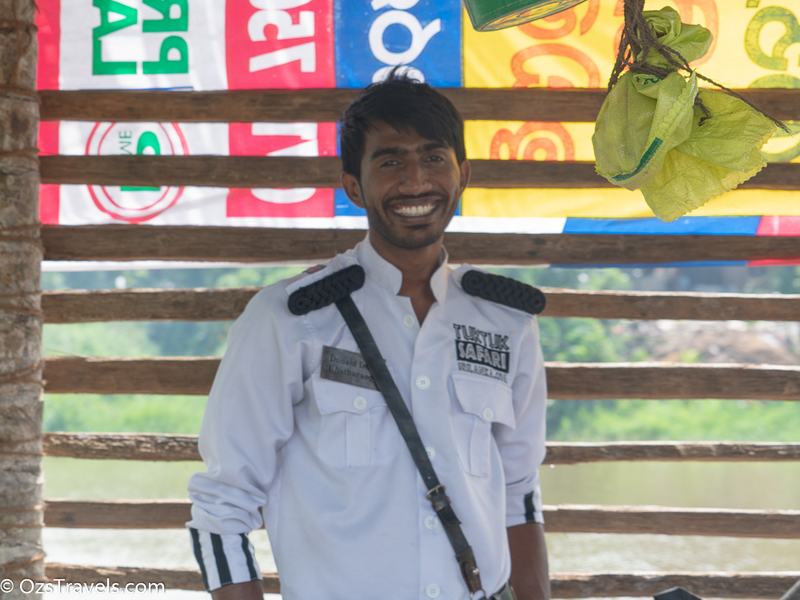 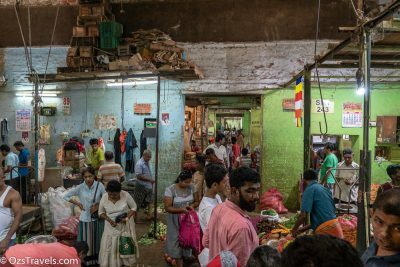 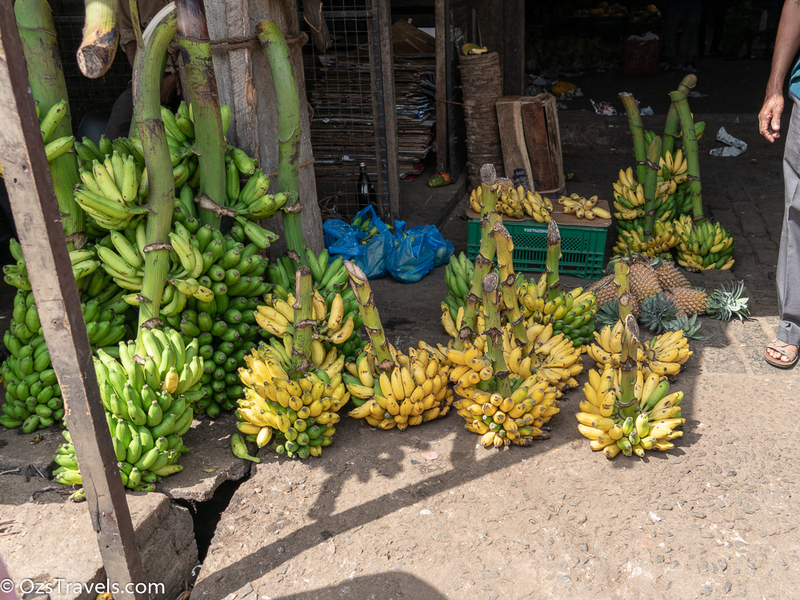 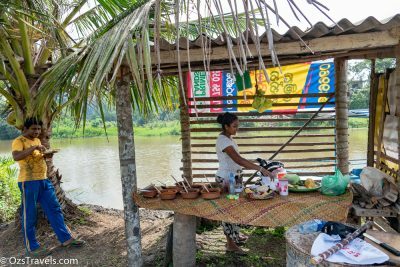 After sampling the produce of a few of the stalls it was time to head to Duckman’s village just outside of Colombo. 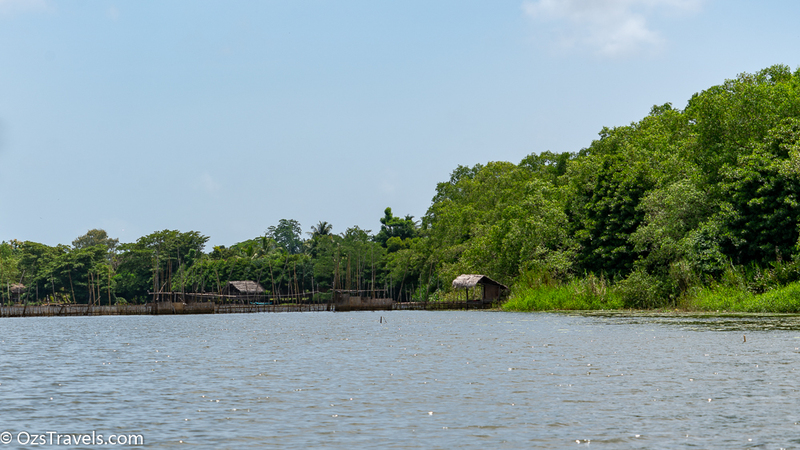 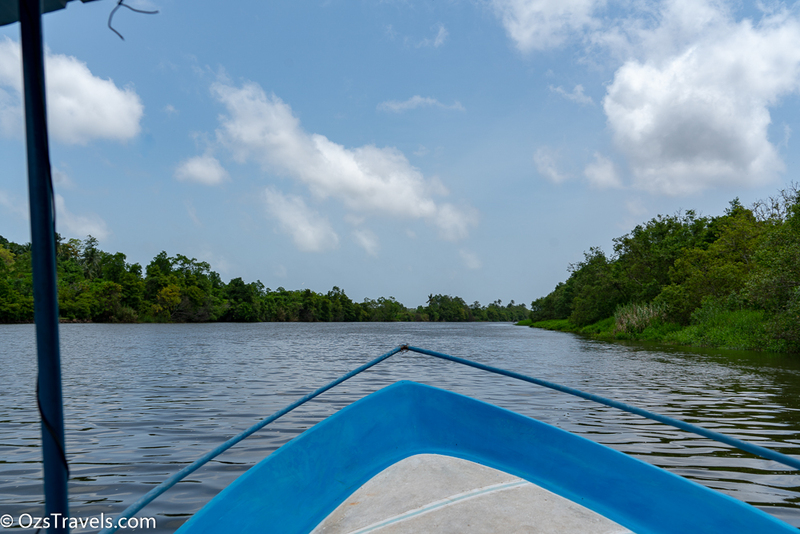 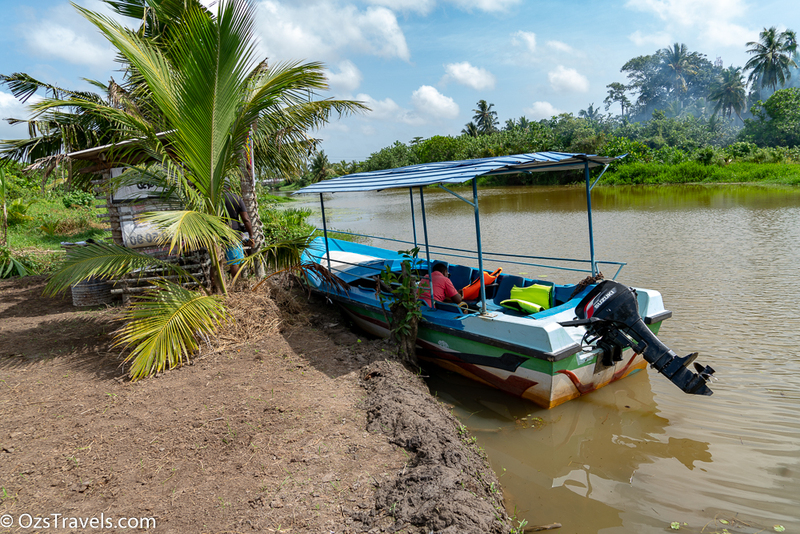 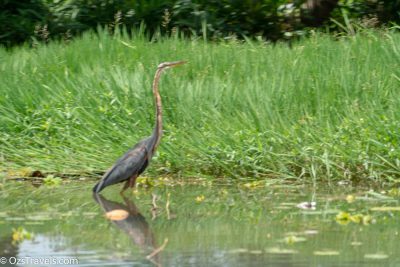 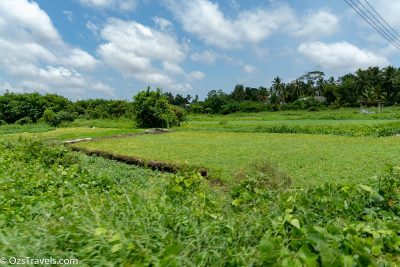 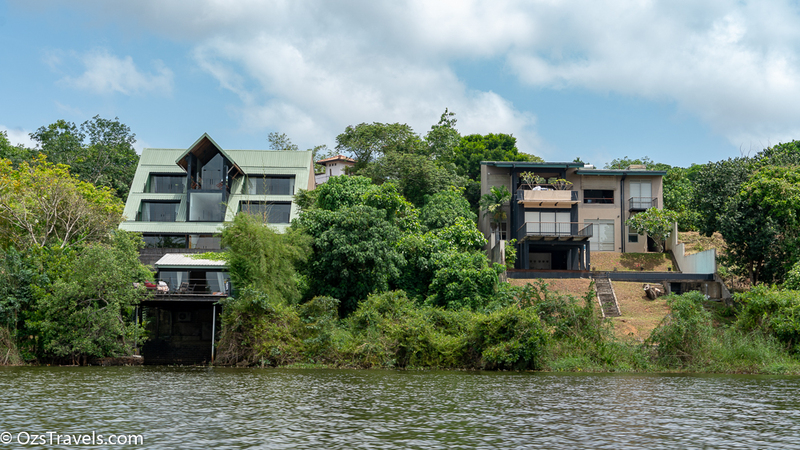 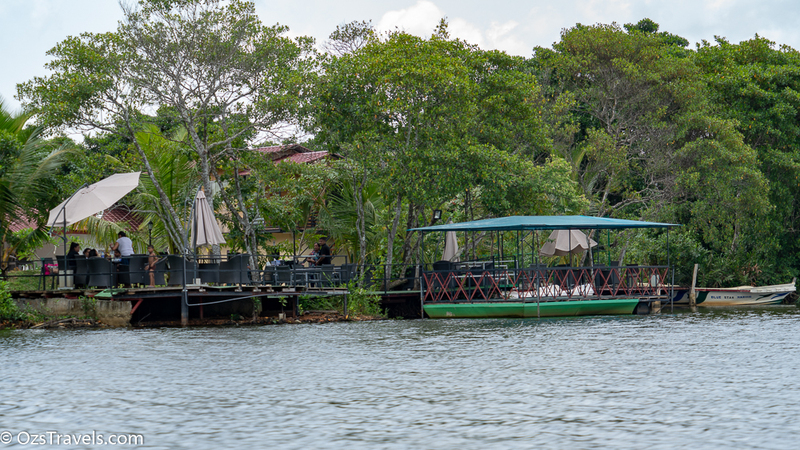 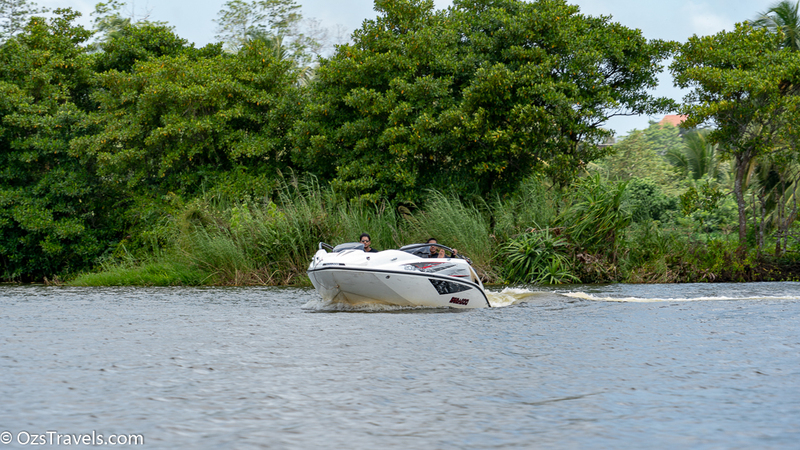 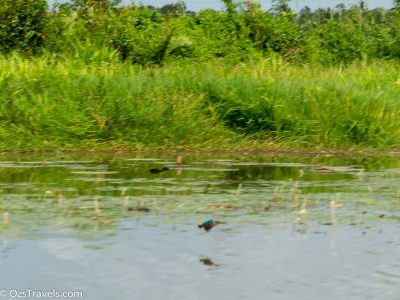 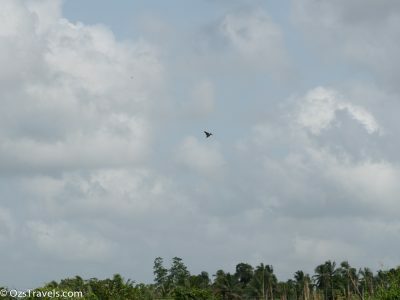 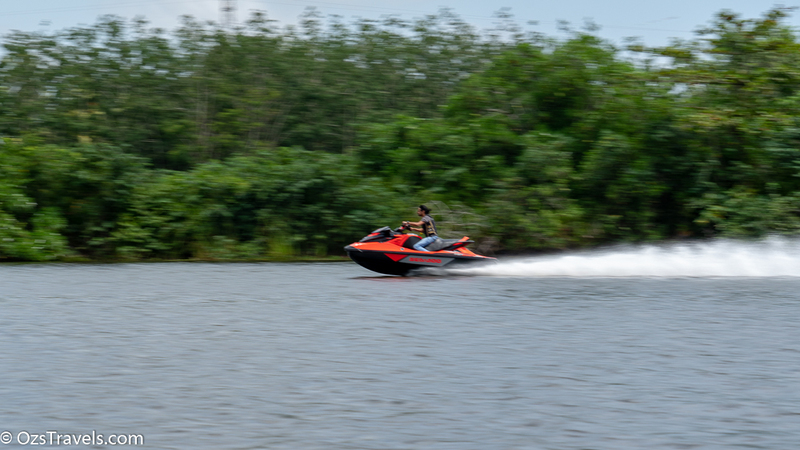 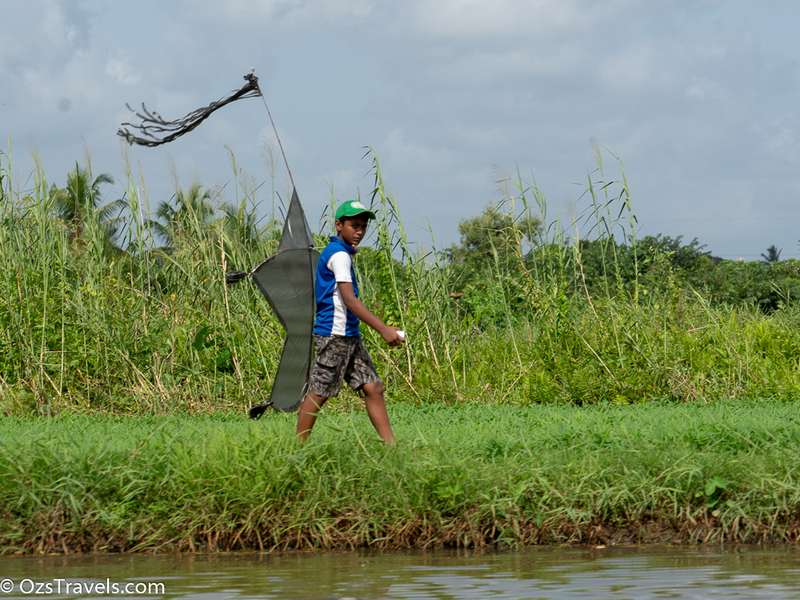 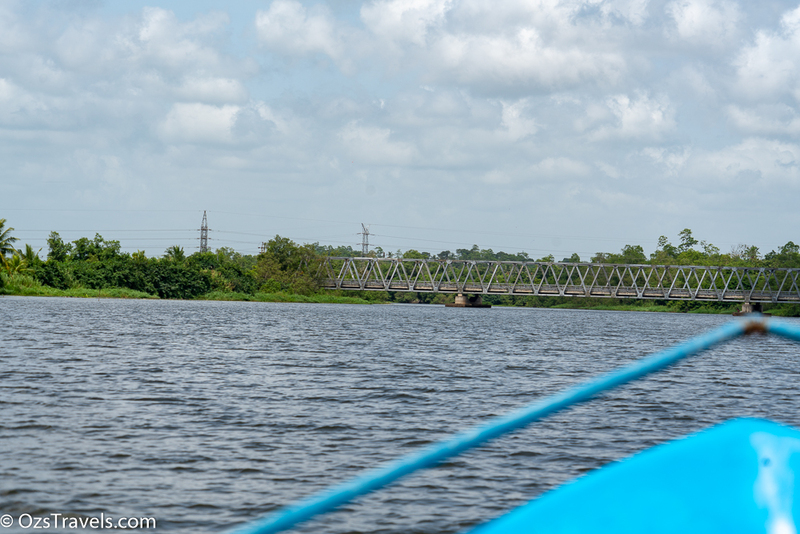 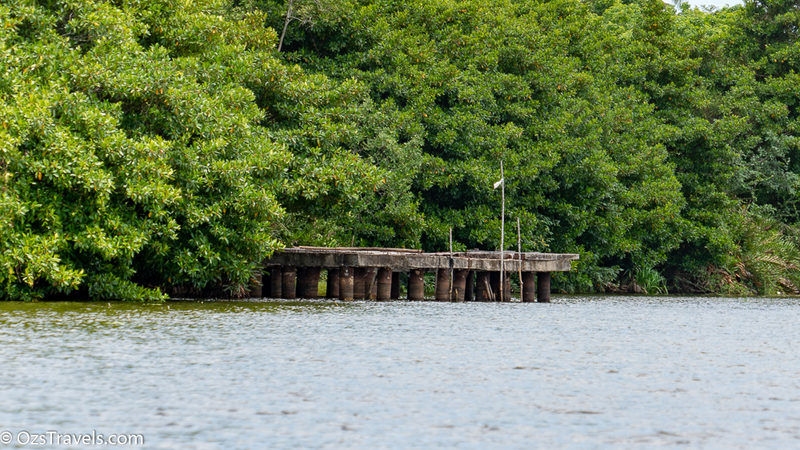 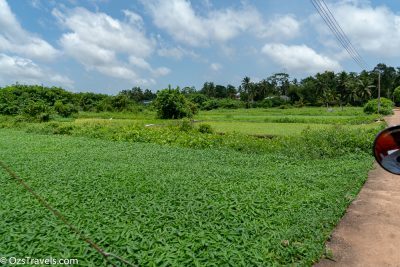 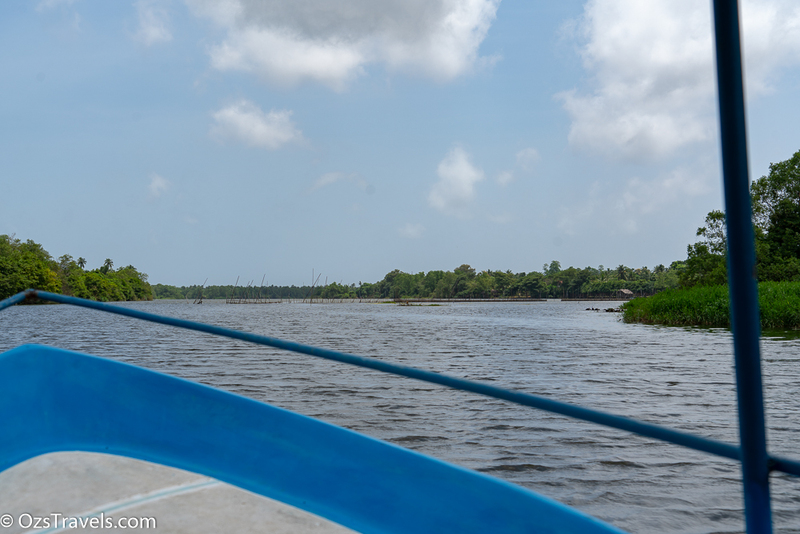 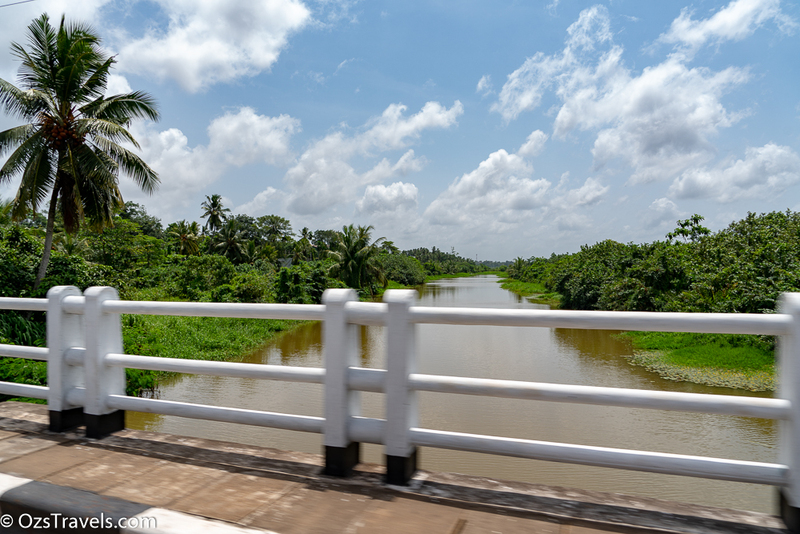 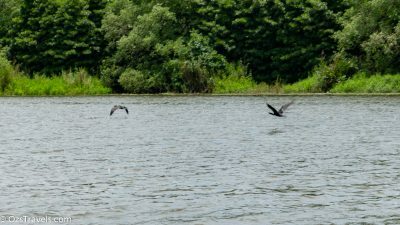 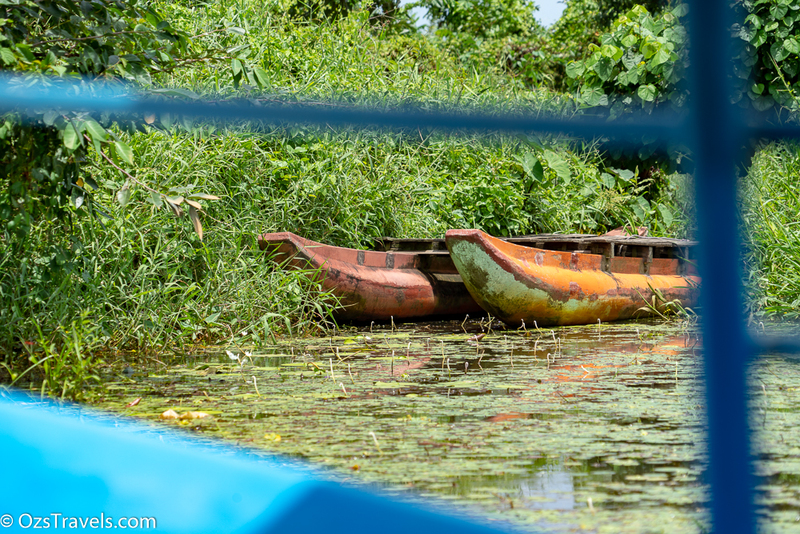 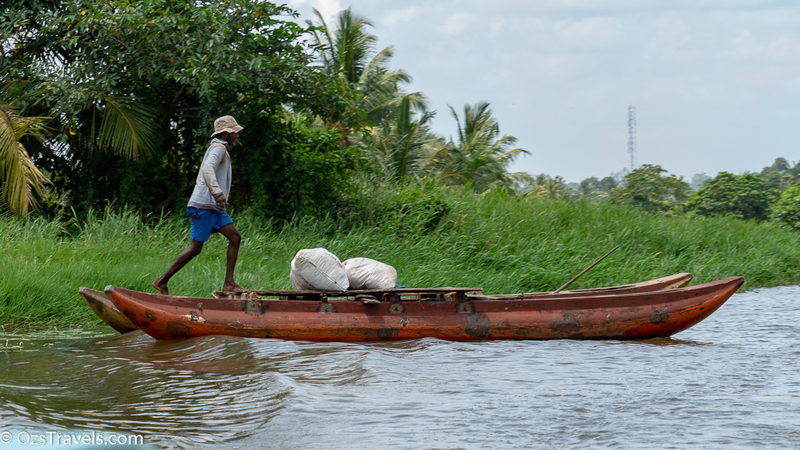 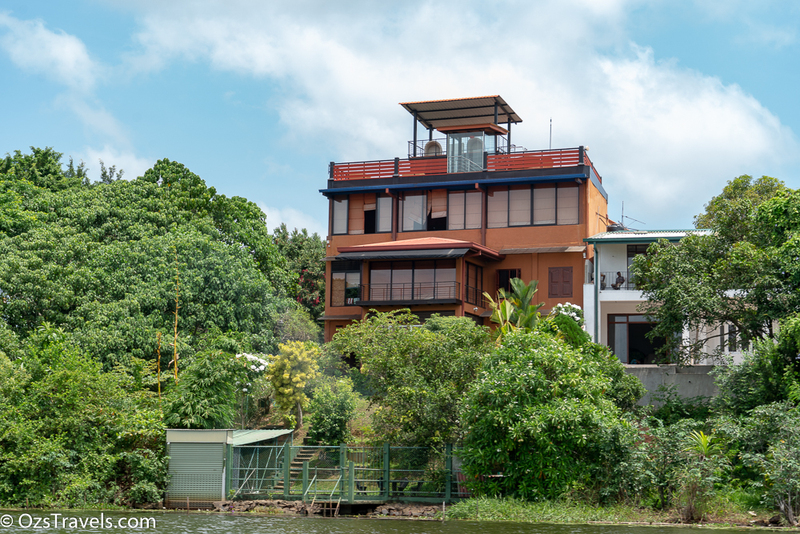 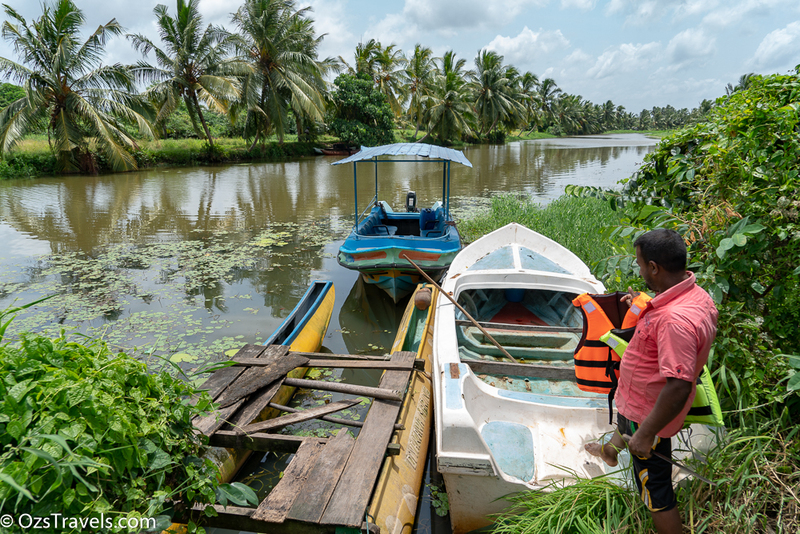 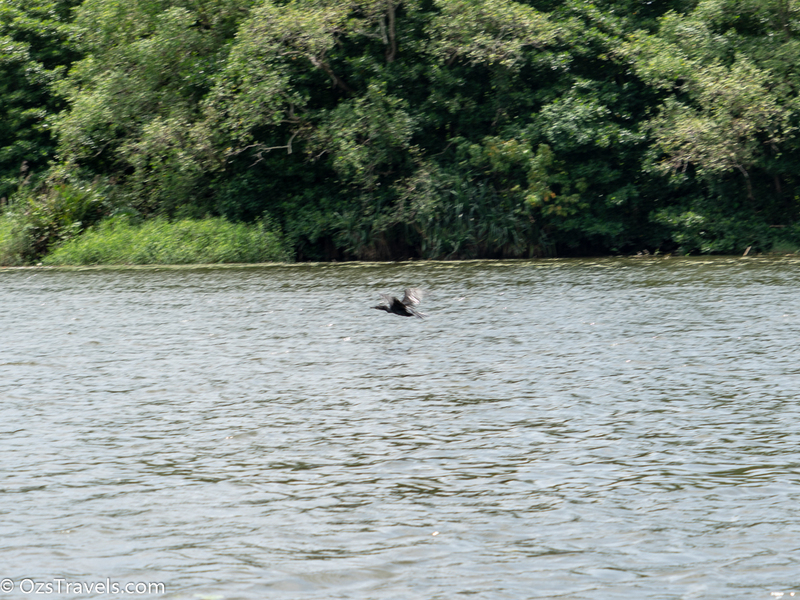 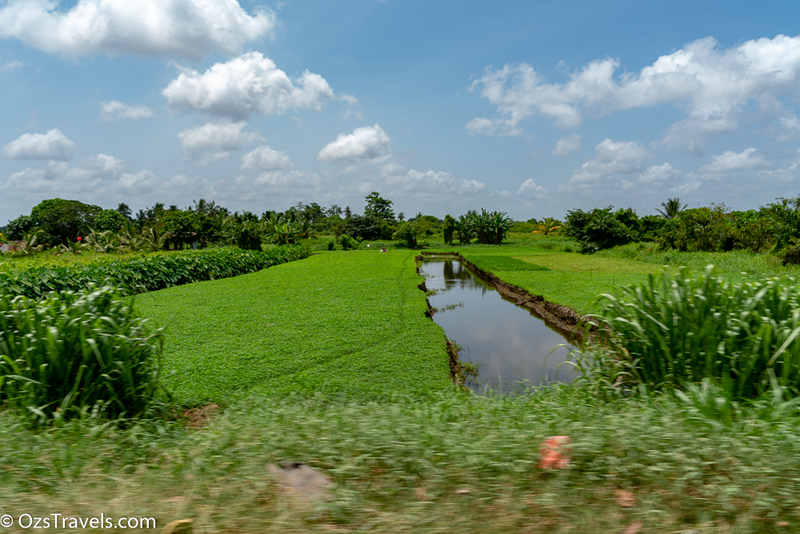 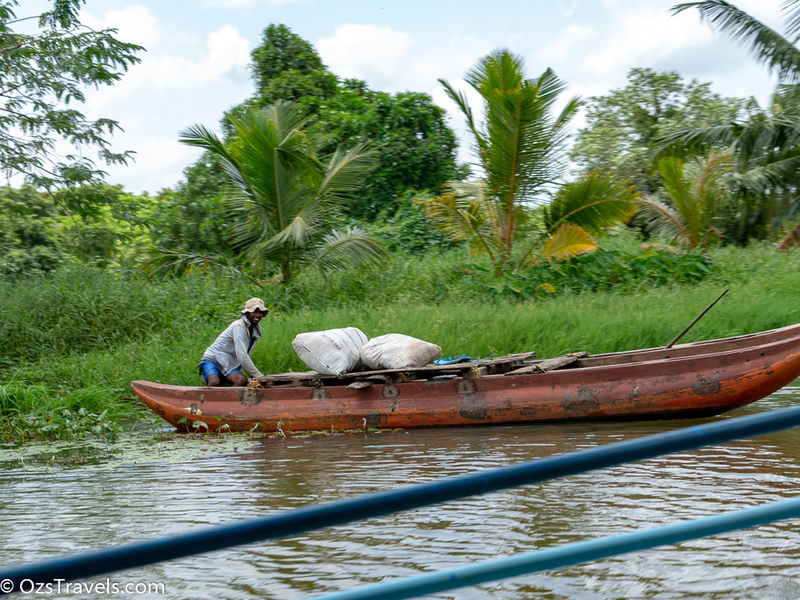 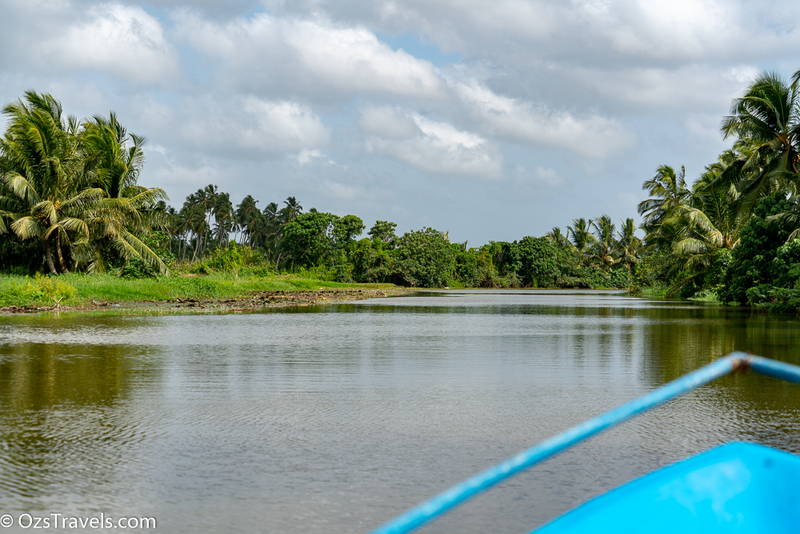 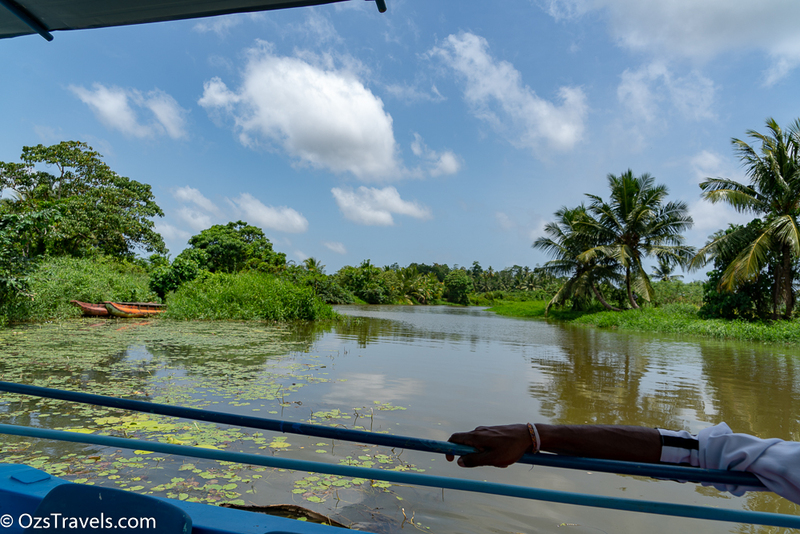 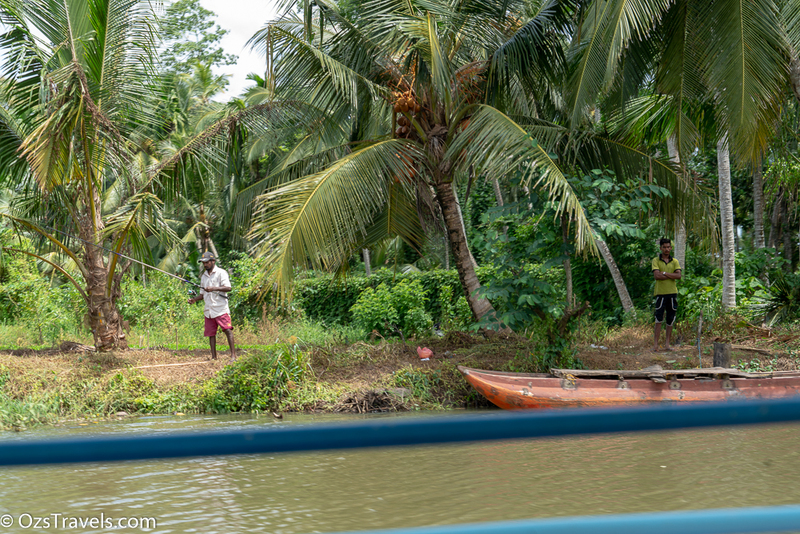 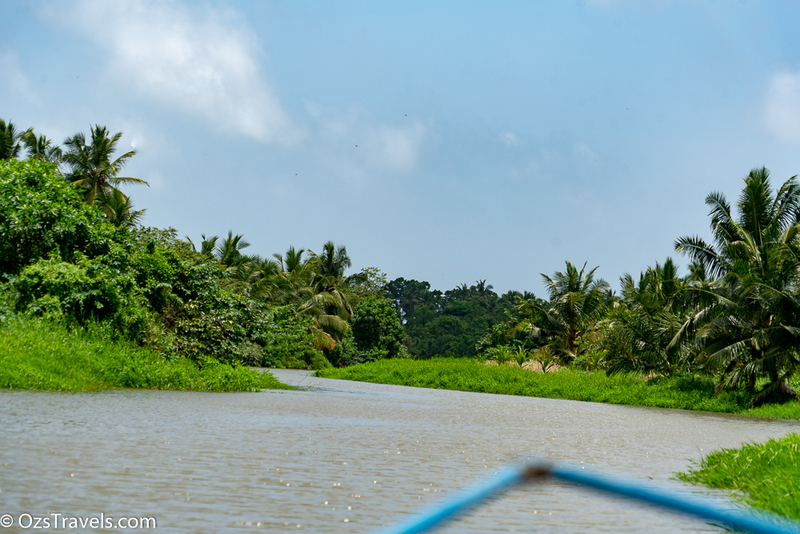 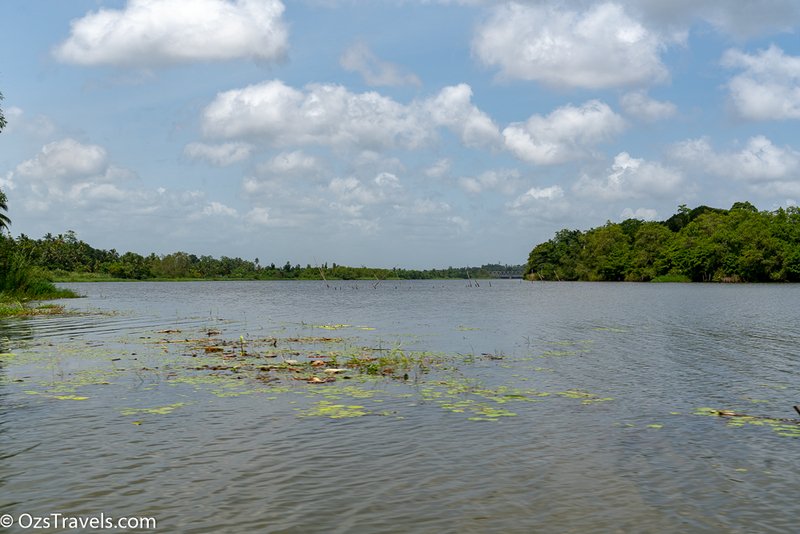 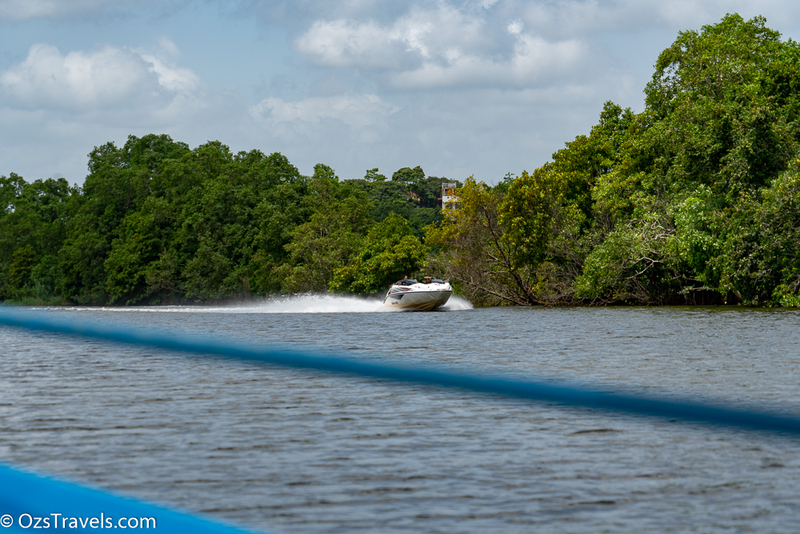 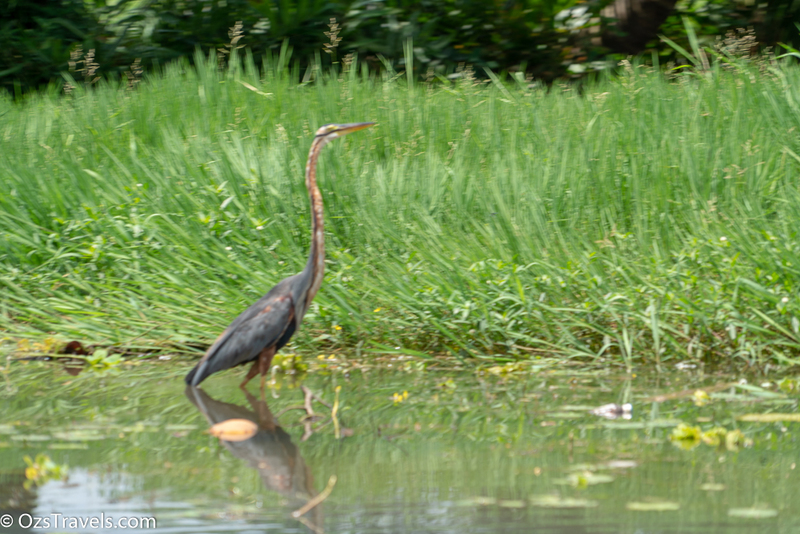 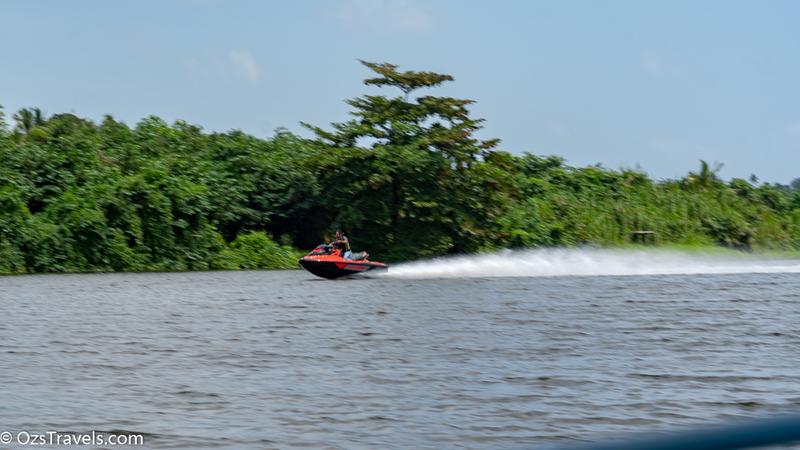 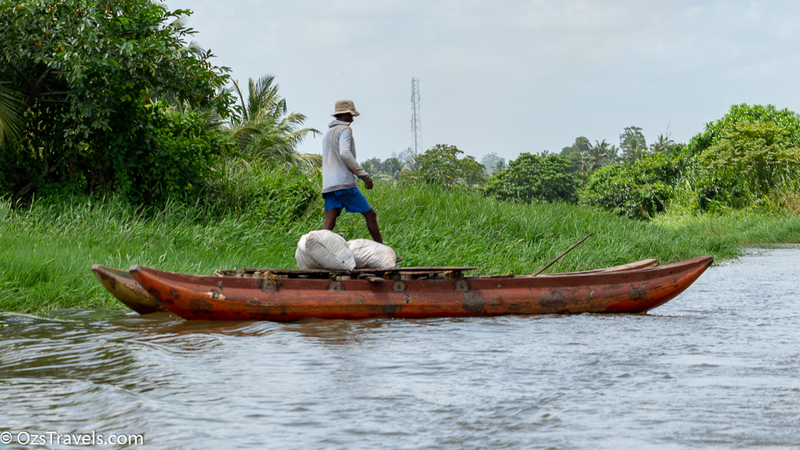 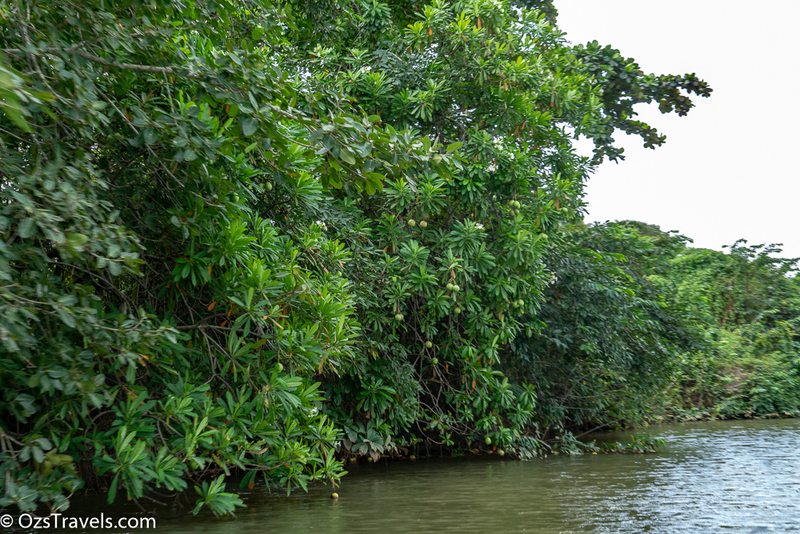 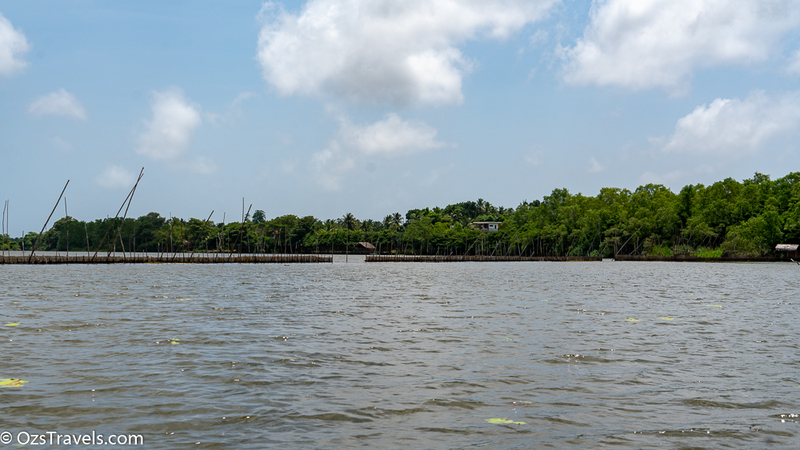 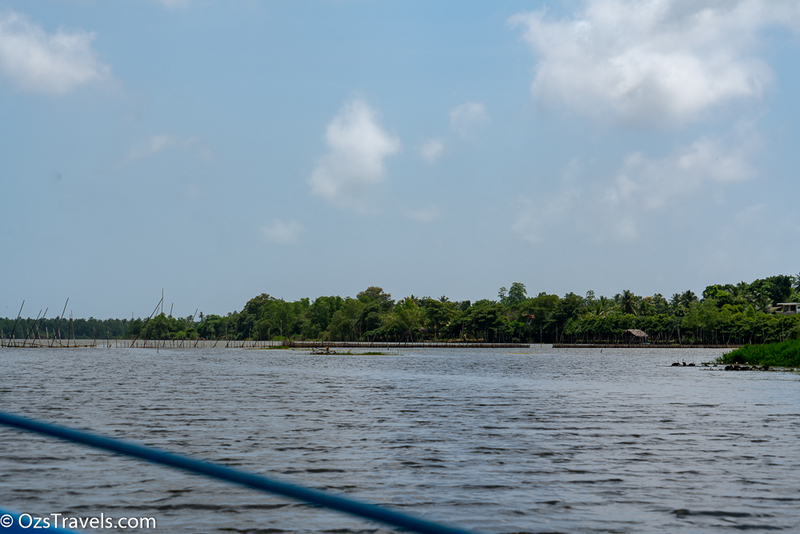 After the hustle and bustle of Colombo, it was great to get out into the lush countryside and then out onto the water. 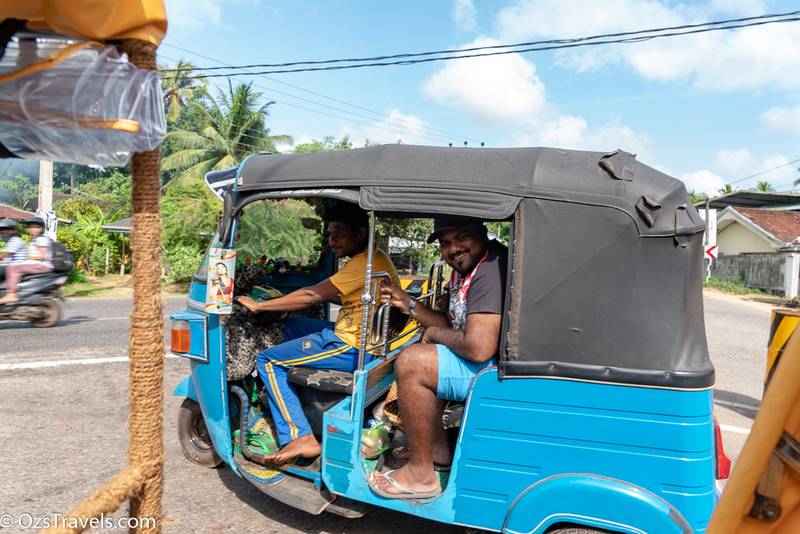 This definitely added to my Colombo Tuk Tuk Adventure, thanks Duckman and Pradeep. 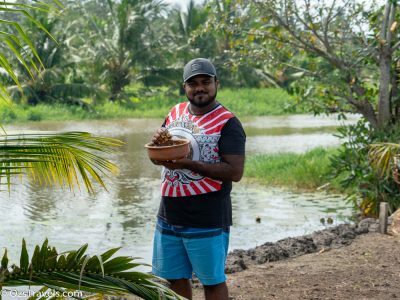 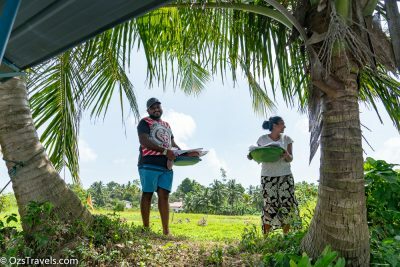 After about 60 mins it was time to meet Kawshalya Rathnayaka (Mrs Duckman), her brother, Chathuranga Madhushan, and their friend Jagath to pick them and our lunch up. 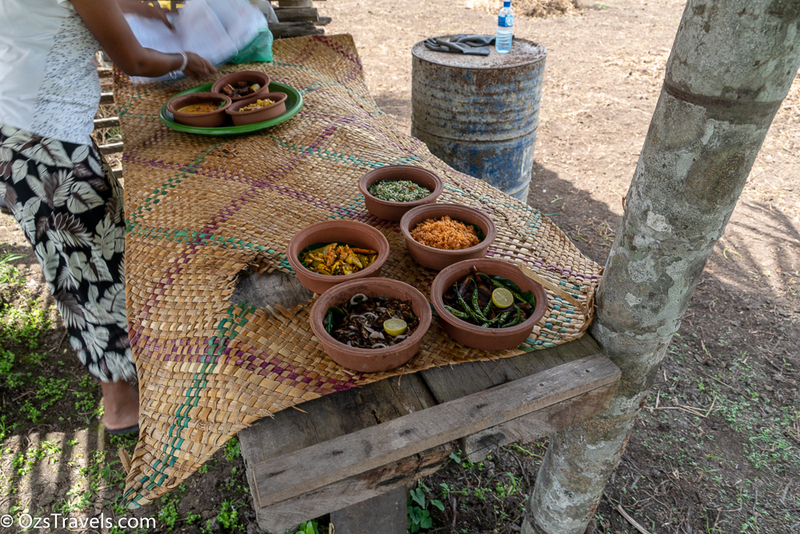 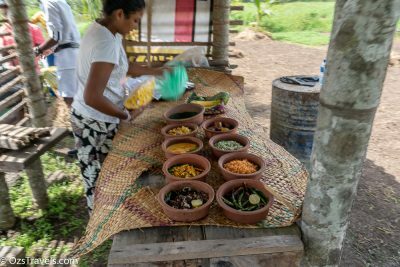 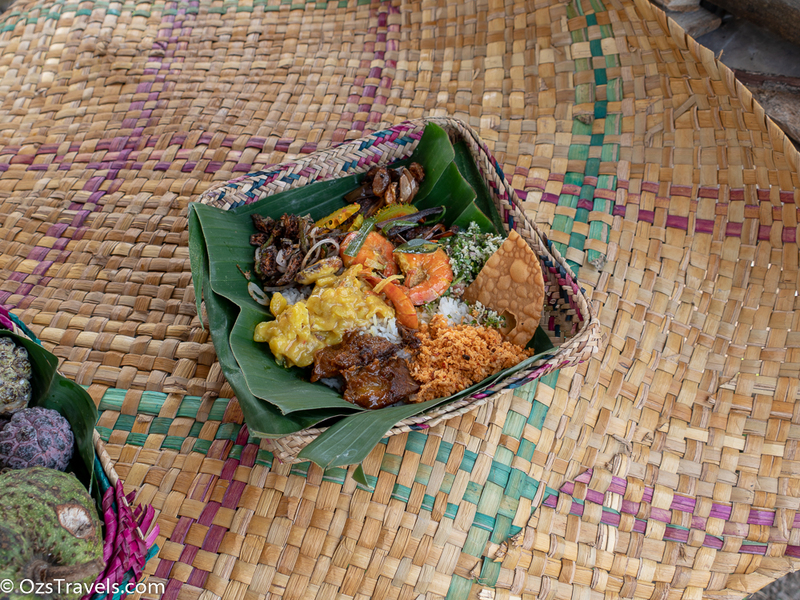 The food was great, including a Jack Fruit Curry, what a spread! 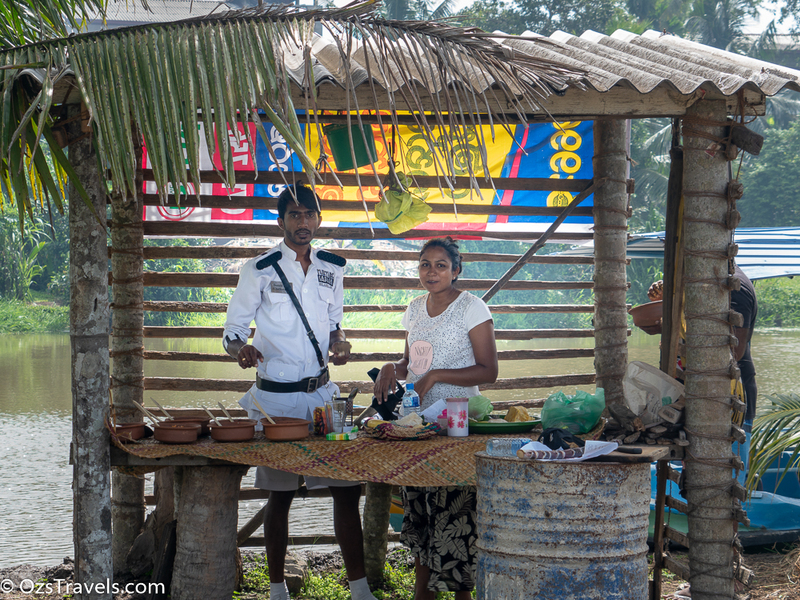 Kawshalya Rathnayaka (Mrs Duckman) A great Chef! Was a little embarrassed as the others would not eat until after I had eaten. 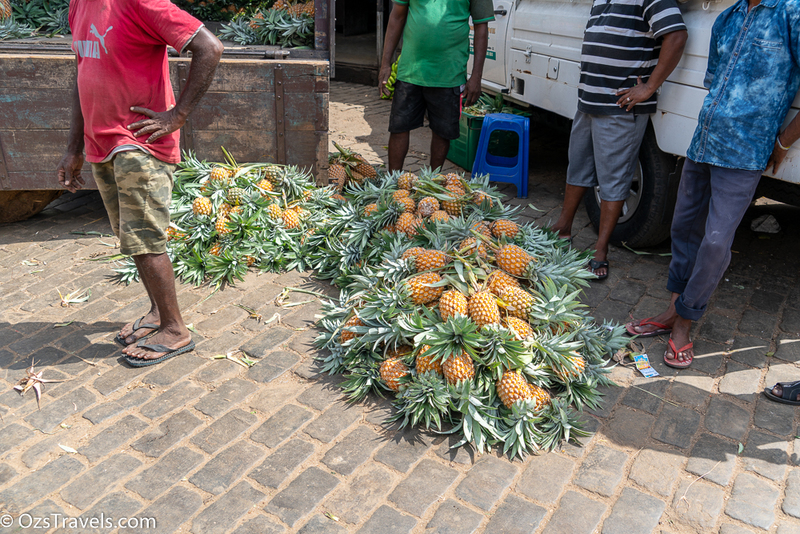 Realised that they were worried that Chathuranga Madhushan, would eat it all, kidding! 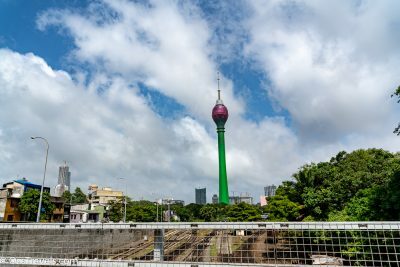 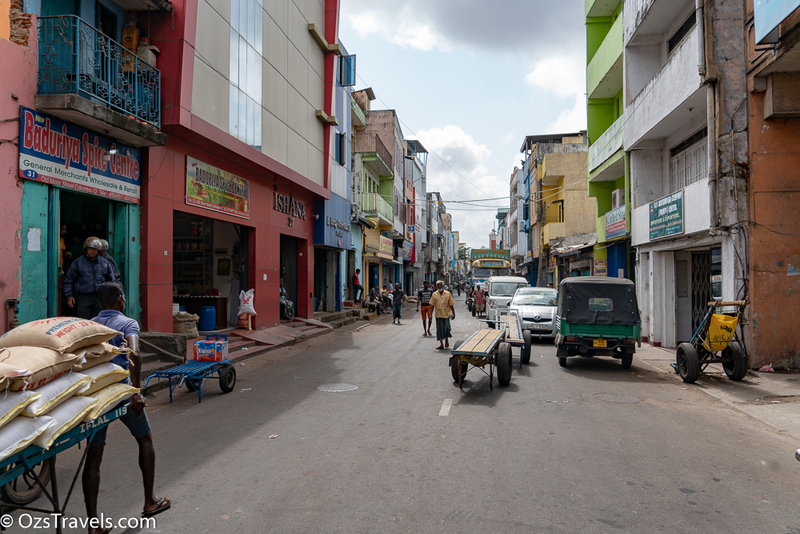 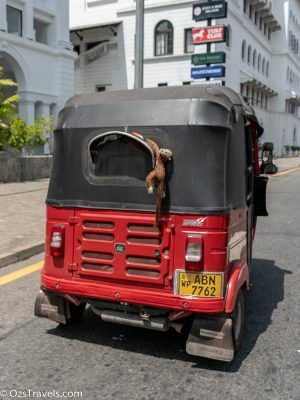 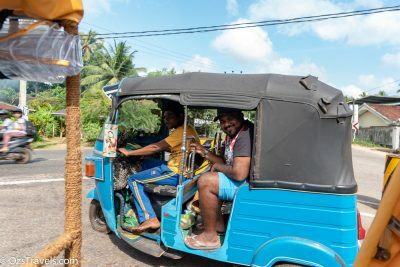 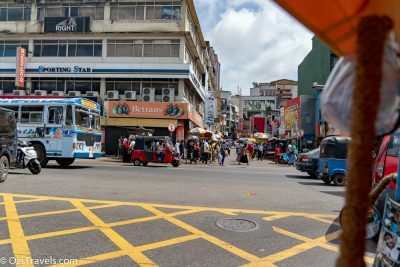 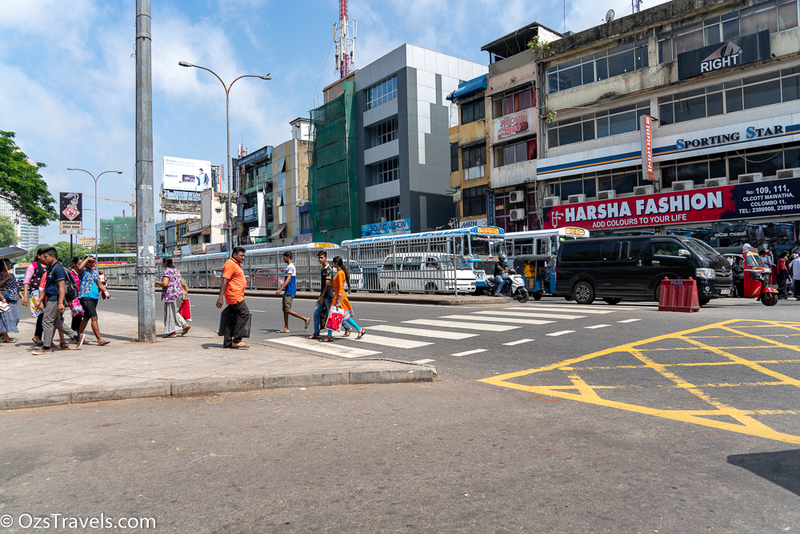 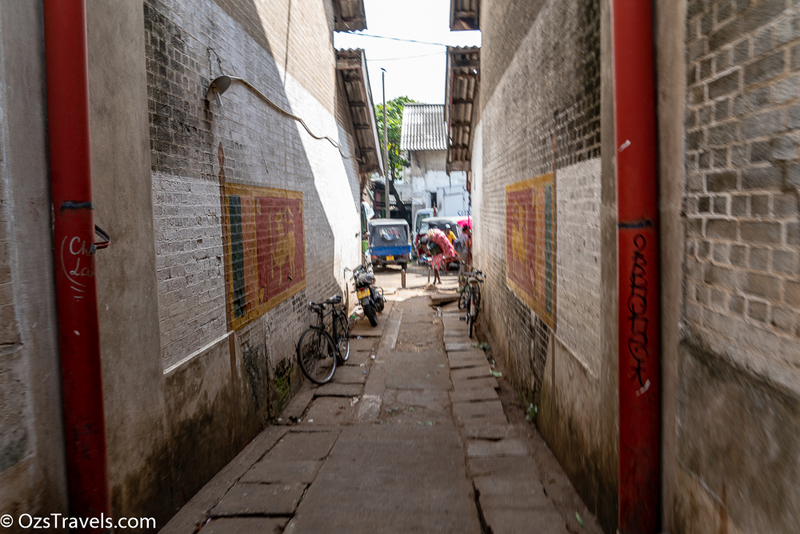 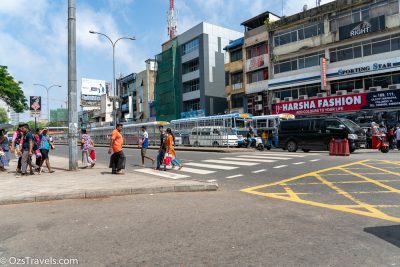 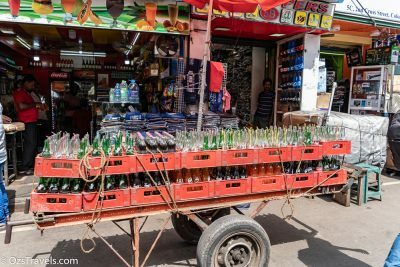 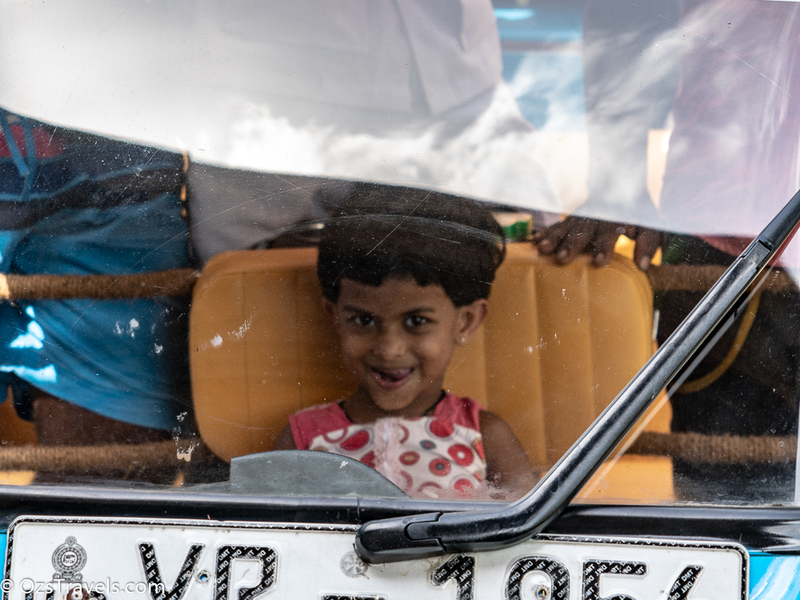 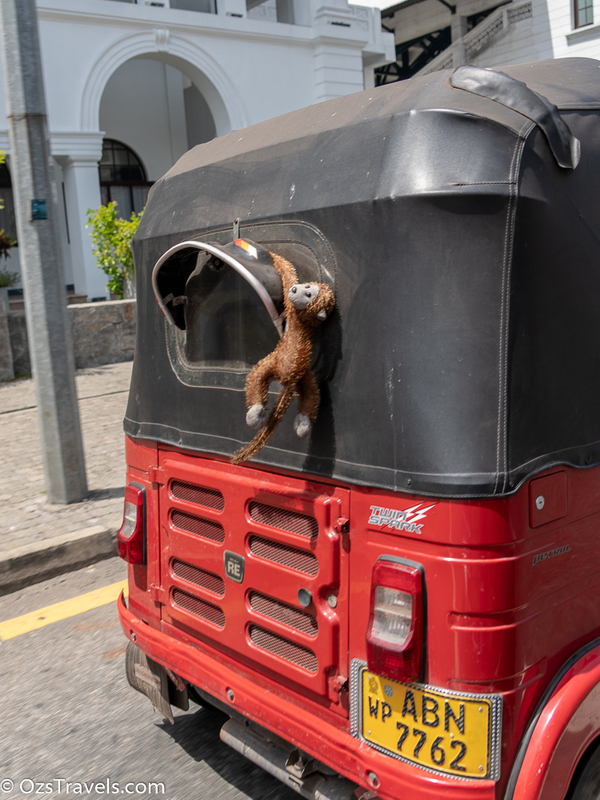 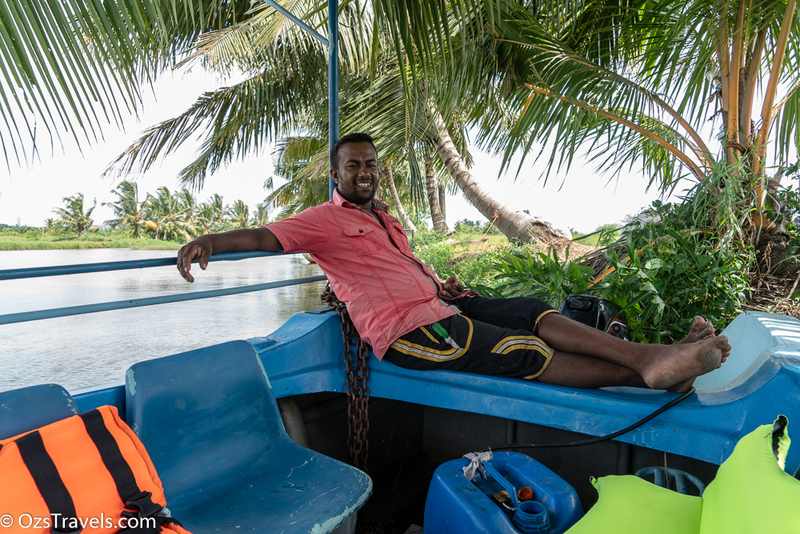 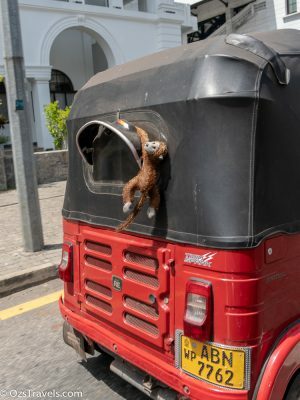 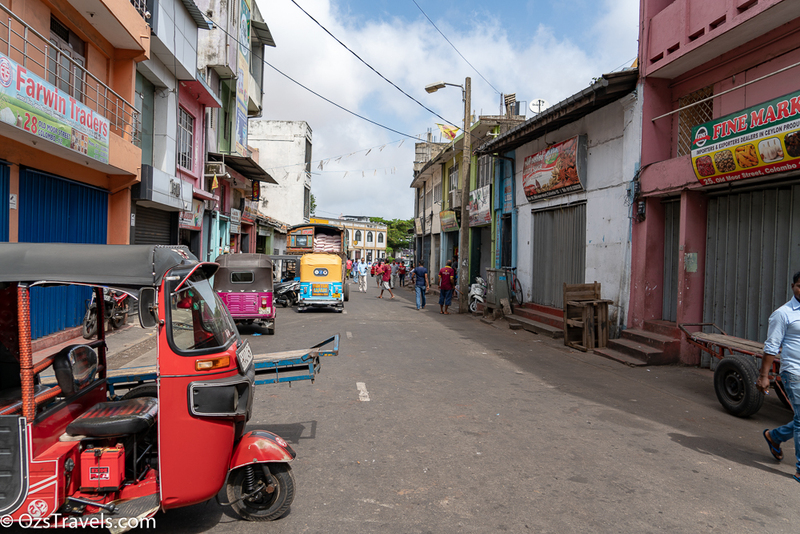 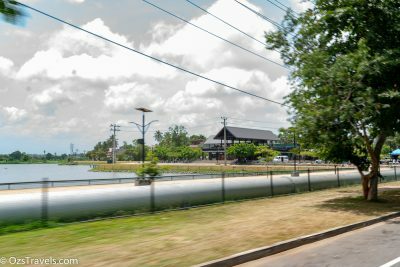 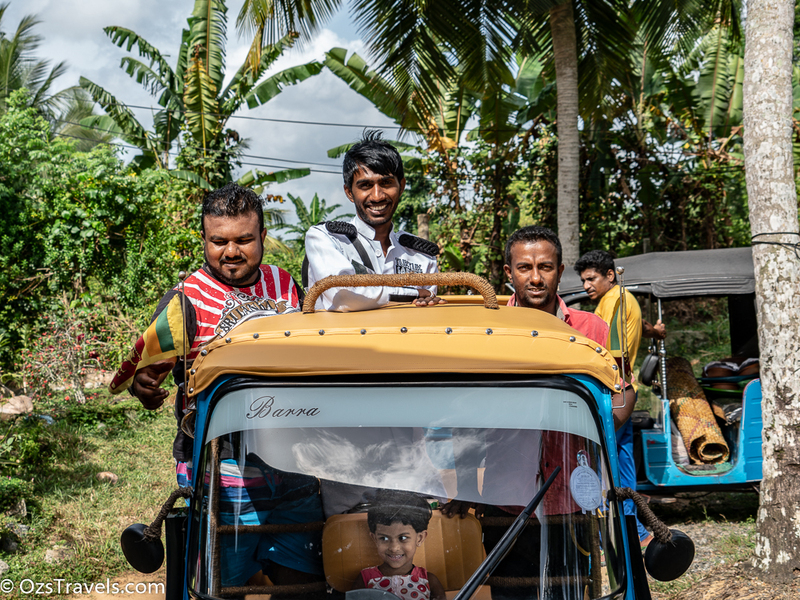 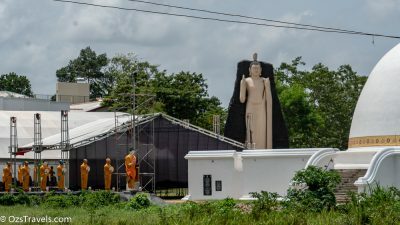 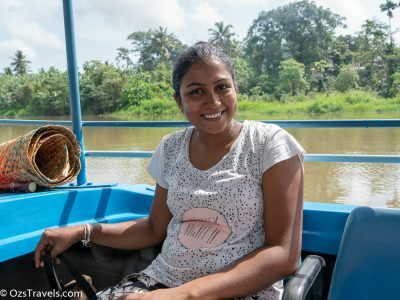 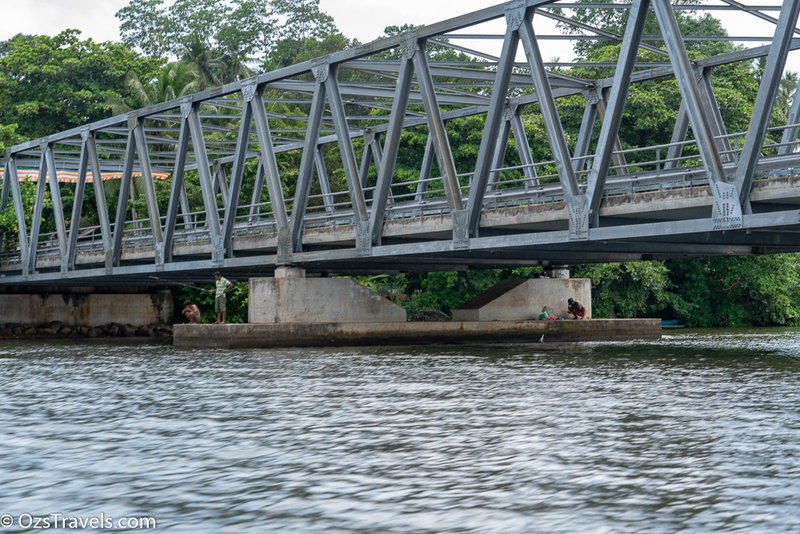 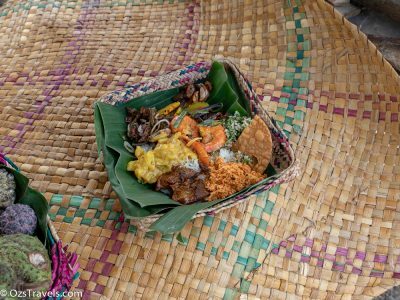 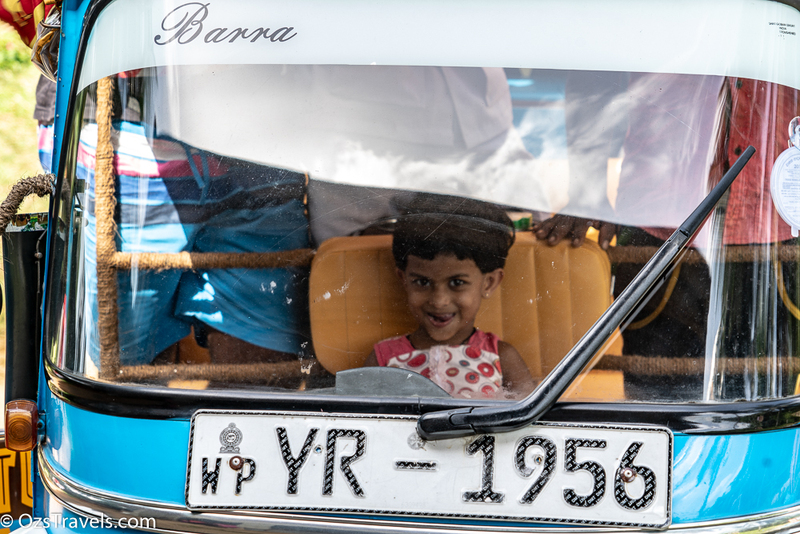 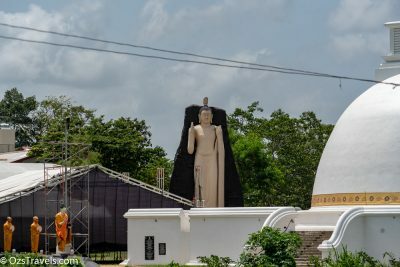 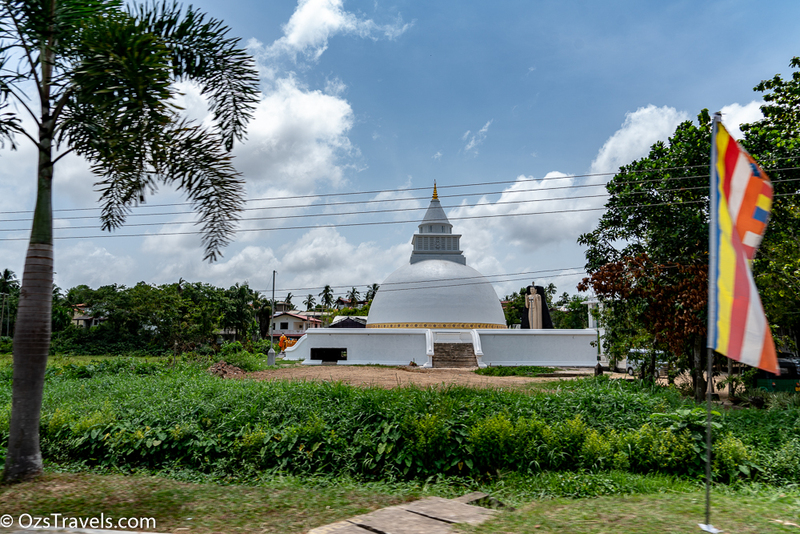 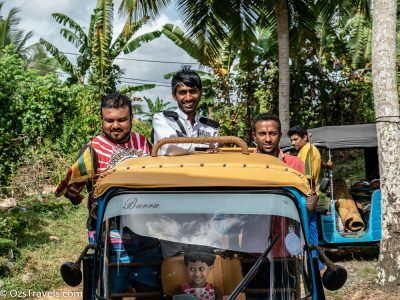 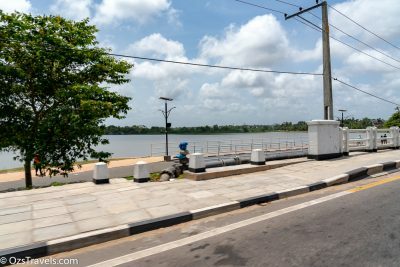 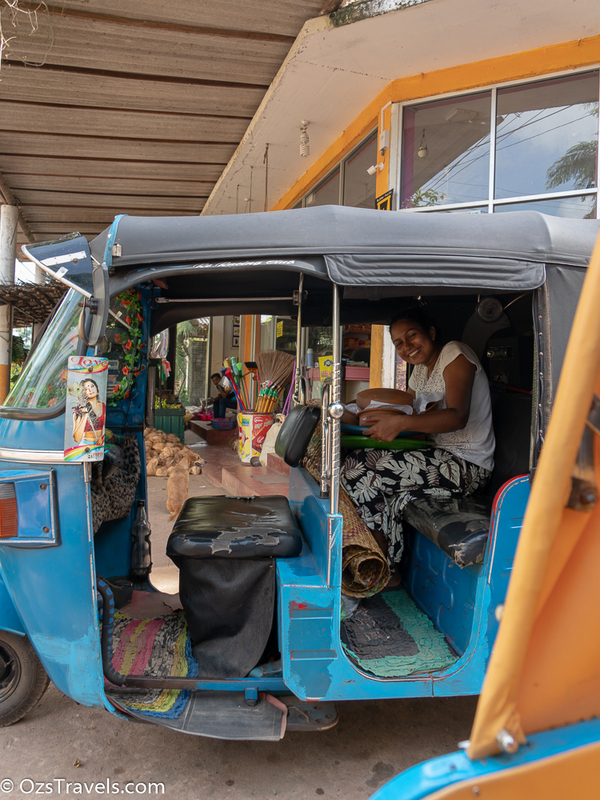 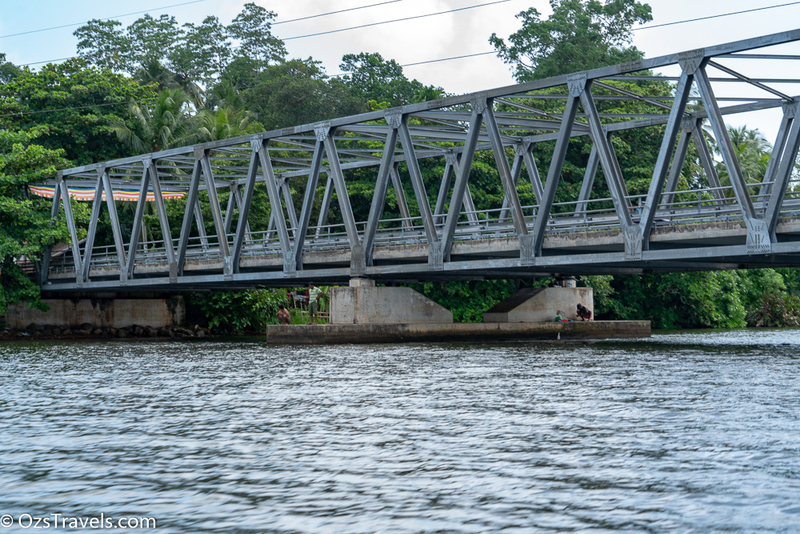 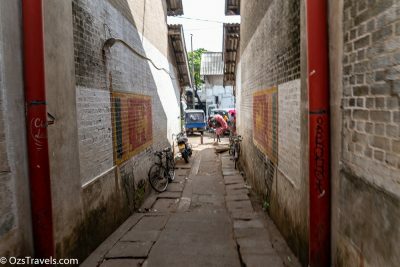 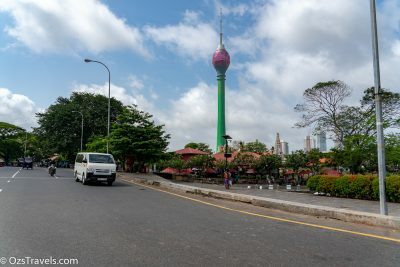 Lunch and the boat trip were the highlights of my Colombo Tuk Tuk Adventure. 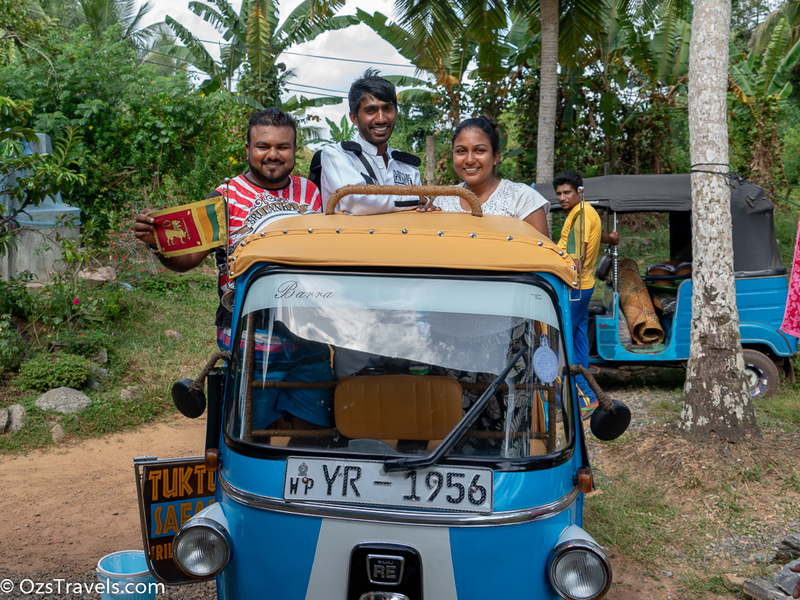 This was definitely because of the crew who looked after me, especially Kawshalya Rathnayaka. 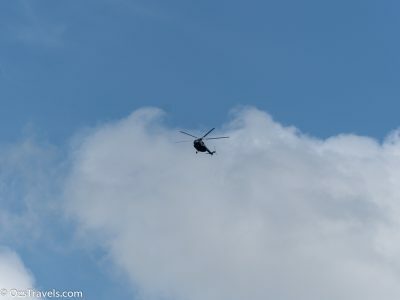 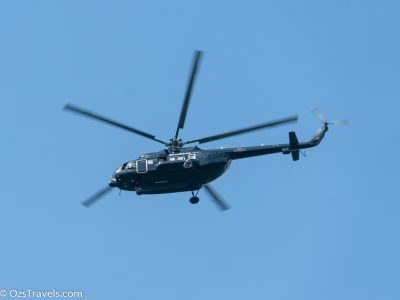 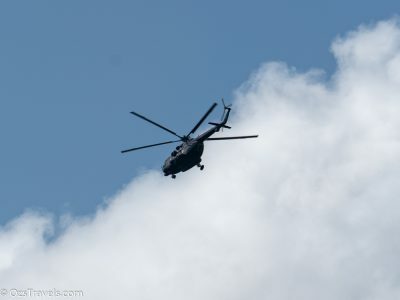 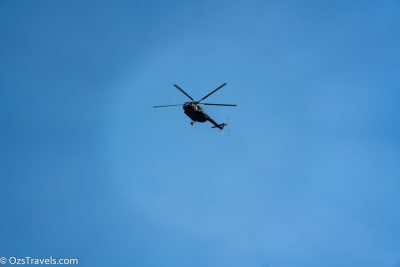 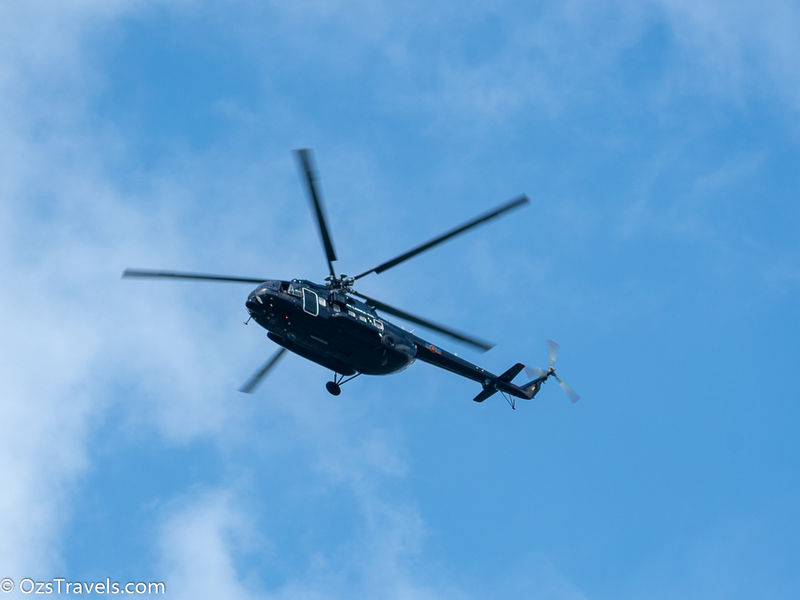 Whilst we were returning from lunch we overflown by a Sri Lankan Air Force MIL MI-17 Hip Helicopter. 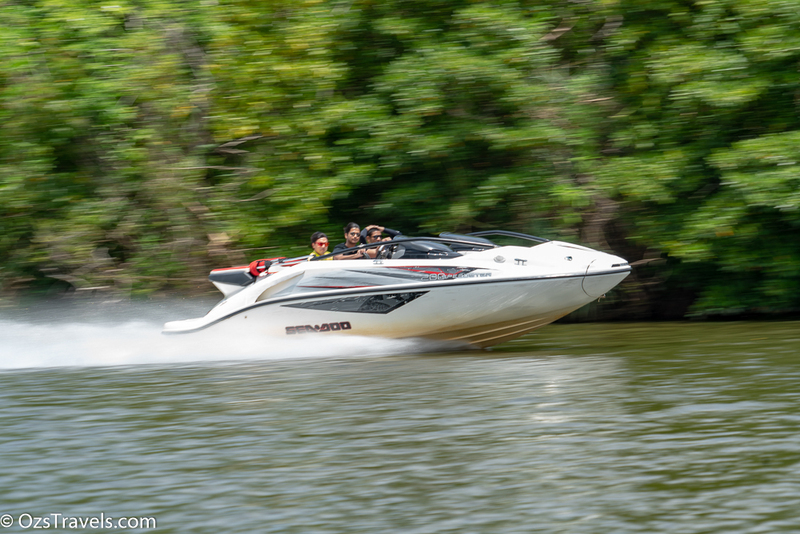 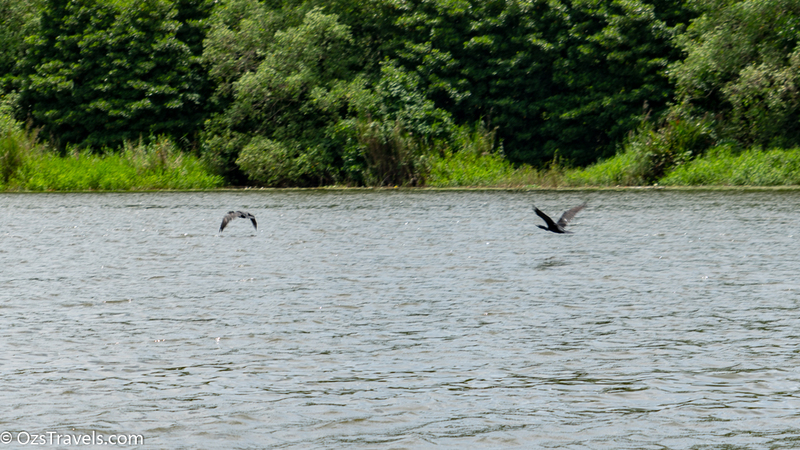 Unfortunately I did not take pics that were as good as I would like, maybe this is a good enough excuse to return…..